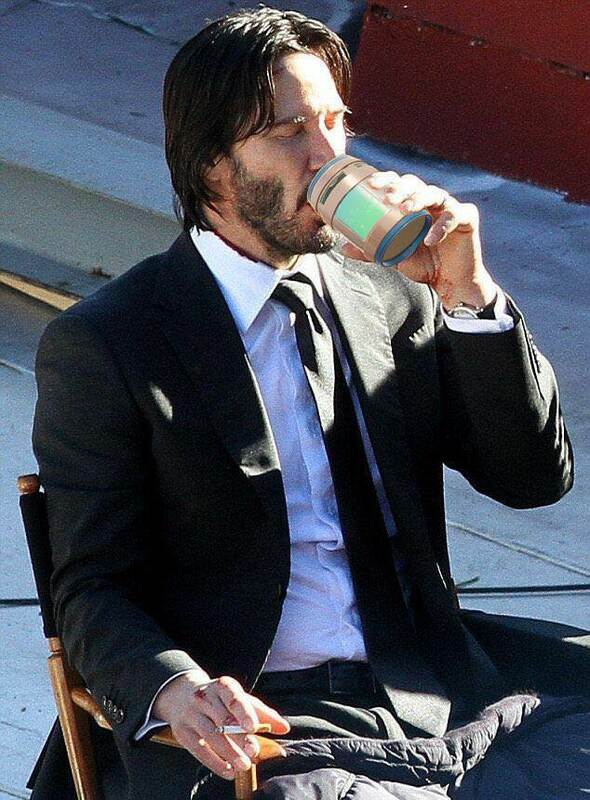 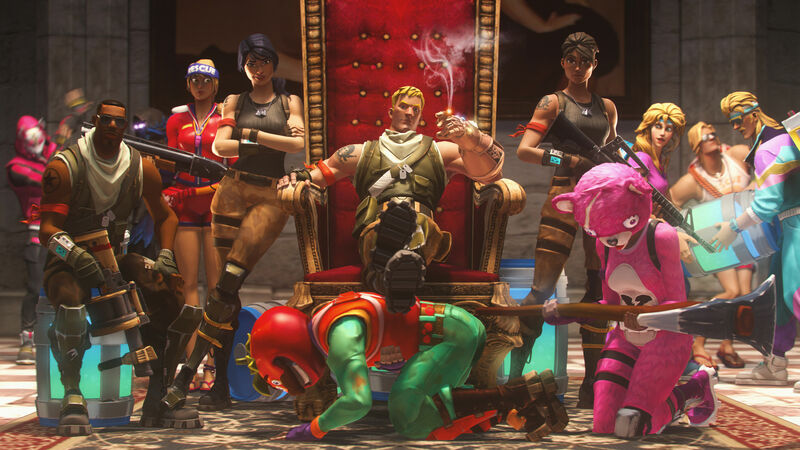 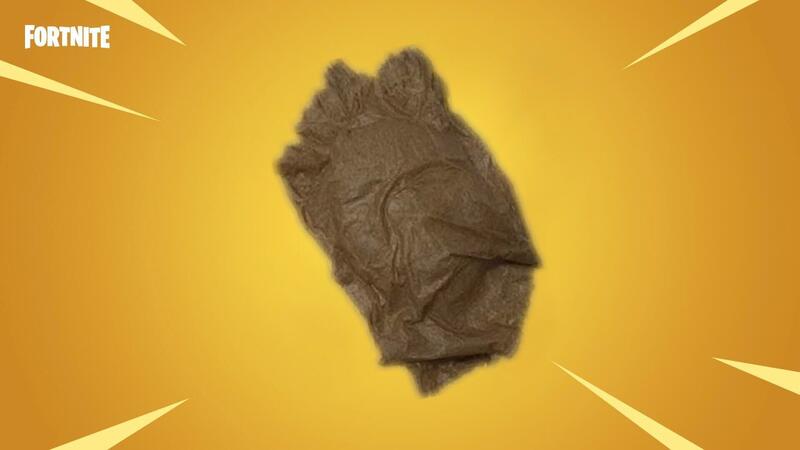 Jonesy, Lord of the No Skins. 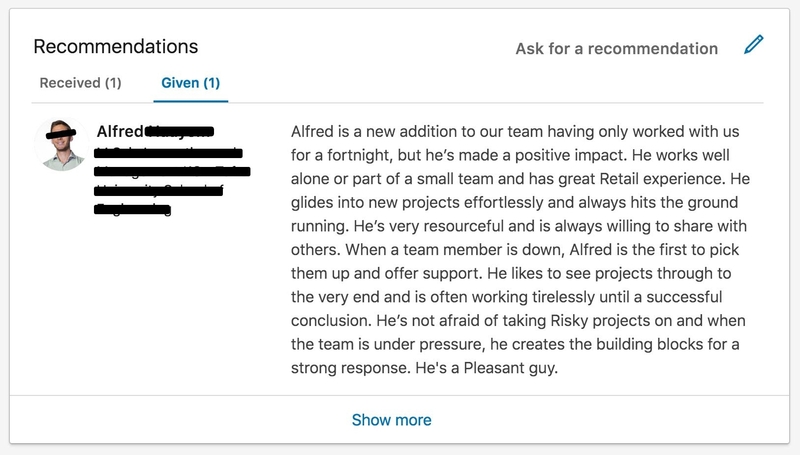 Someone I met through Fortnite added me on LinkedIn, so I wrote him a recommendation. 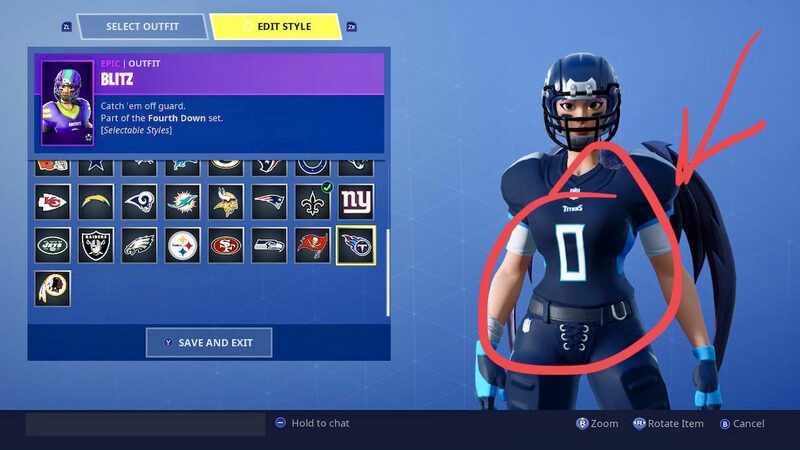 The Switch doesn’t save my win total for me, so I’m using my jersey to keep track of all of the wins I have so far. 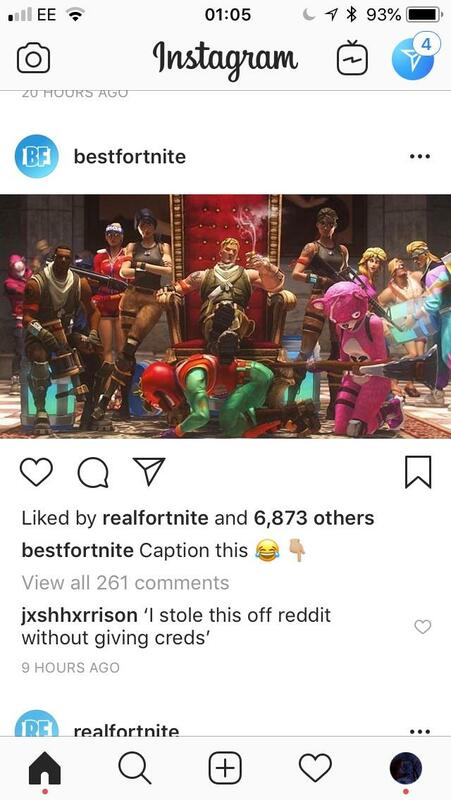 At this moment RiceGum knew he fukt up. 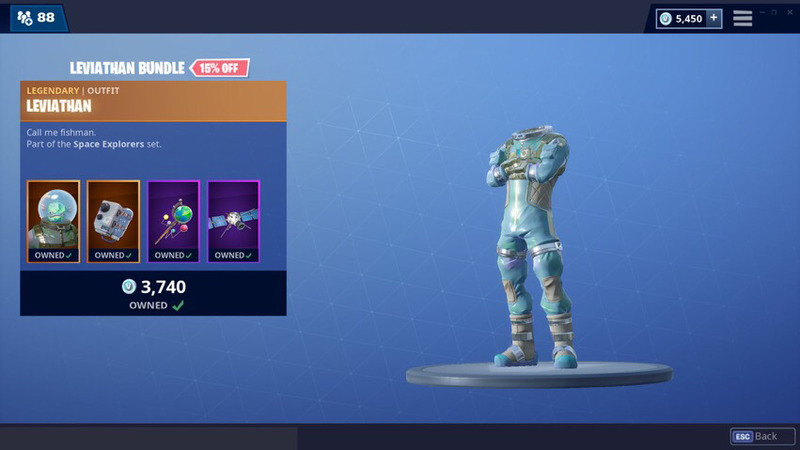 His hand is off the controller but not on the hand cam. 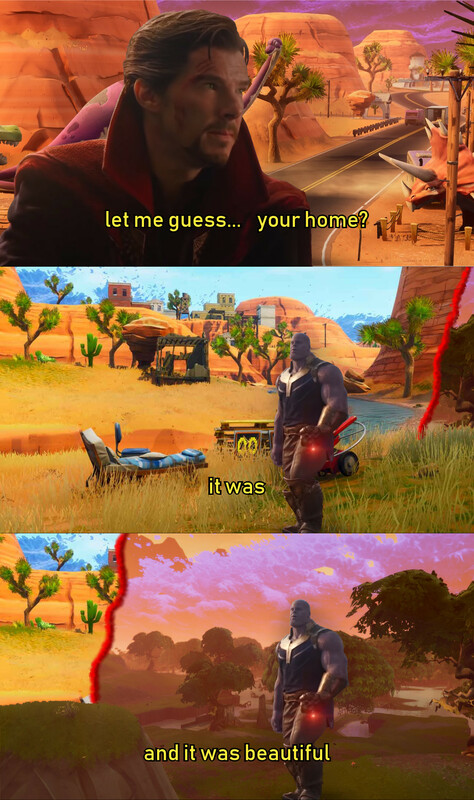 This post is late but better late than never. 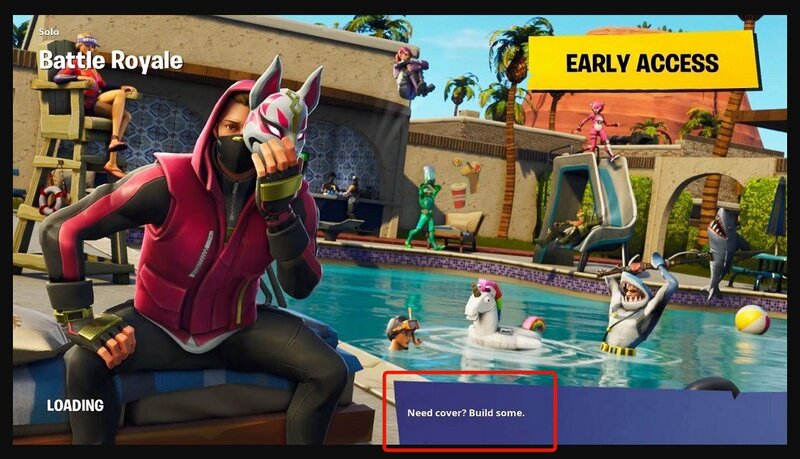 Remove this tip from the loading screen as it is no longer valid and will misguide new players. 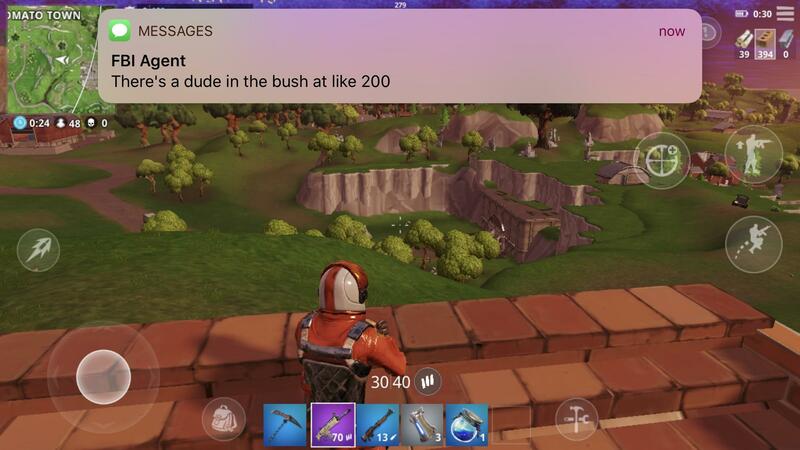 Solos on mobile are OP. 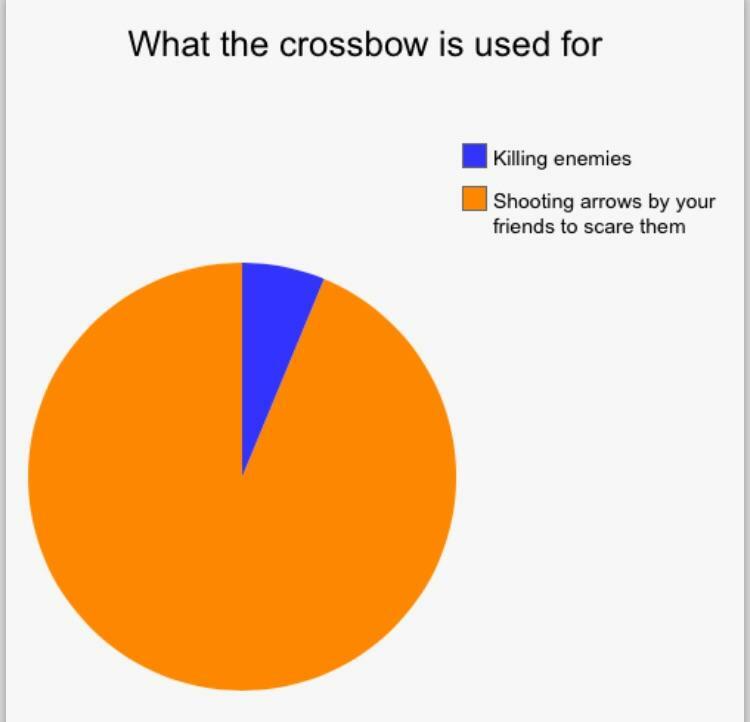 You practically get an extra teammate. 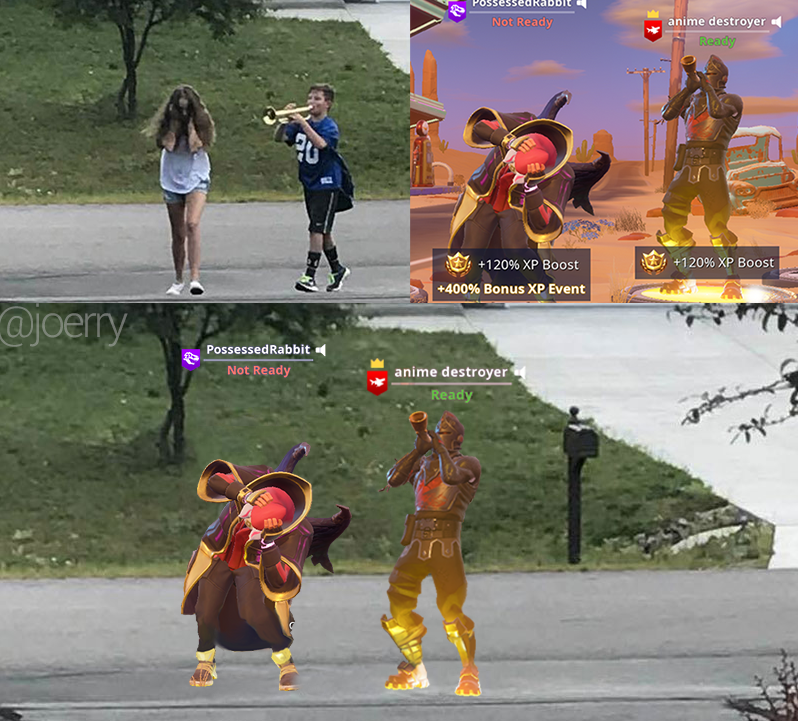 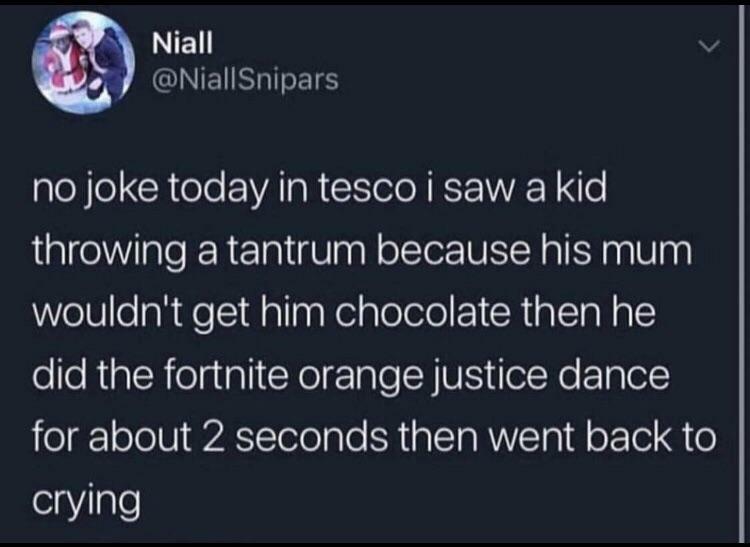 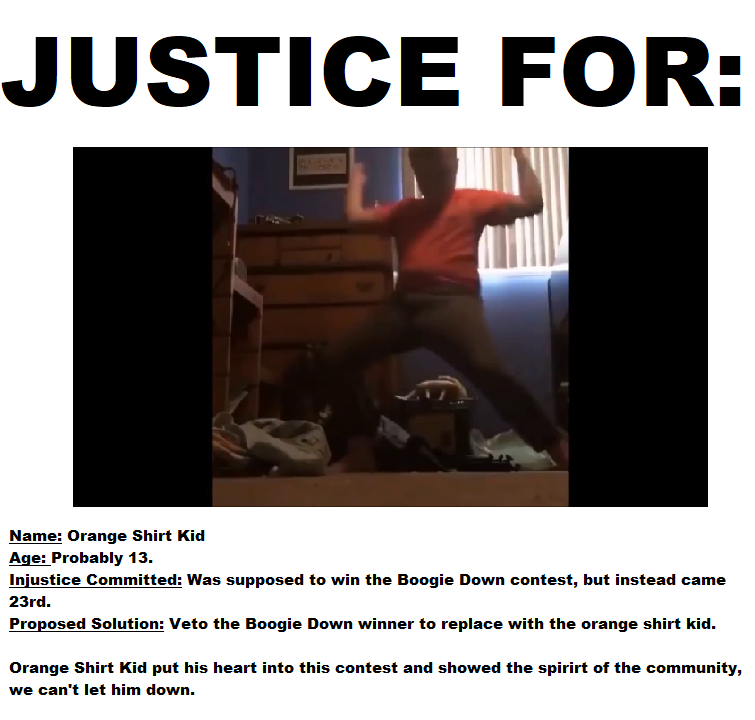 JUSTICE FOR: Orange Shirt Kid. 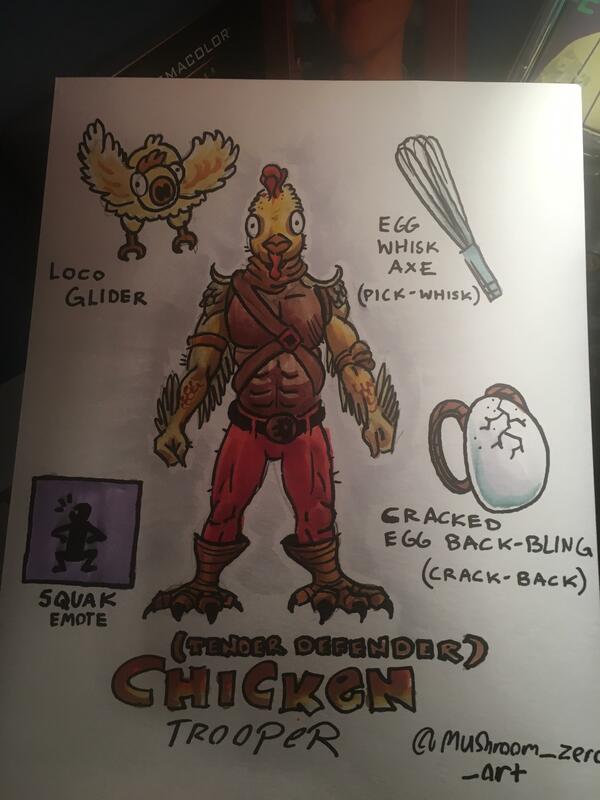 I just finished colored pencil drawing of Raptor skin! 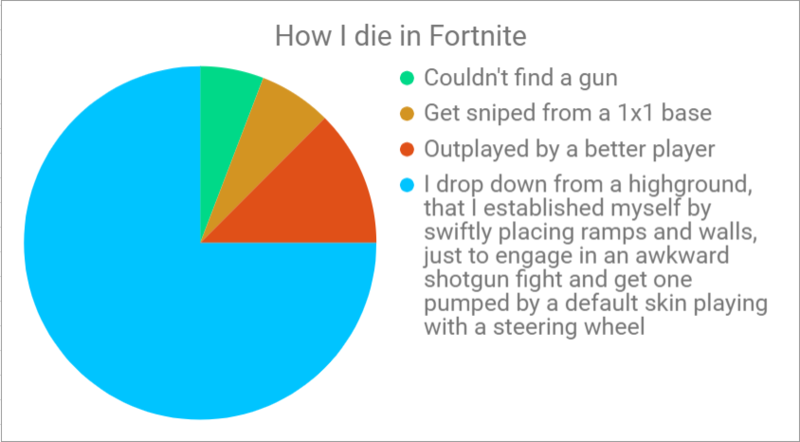 It was easier than playing the game so I hope You will like it! 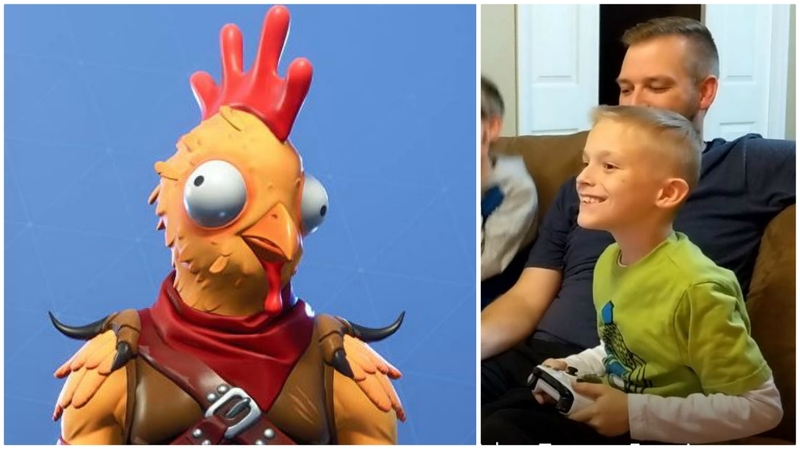 Just a few months ago you all supported my sons silly concept that became the Tender Defender. 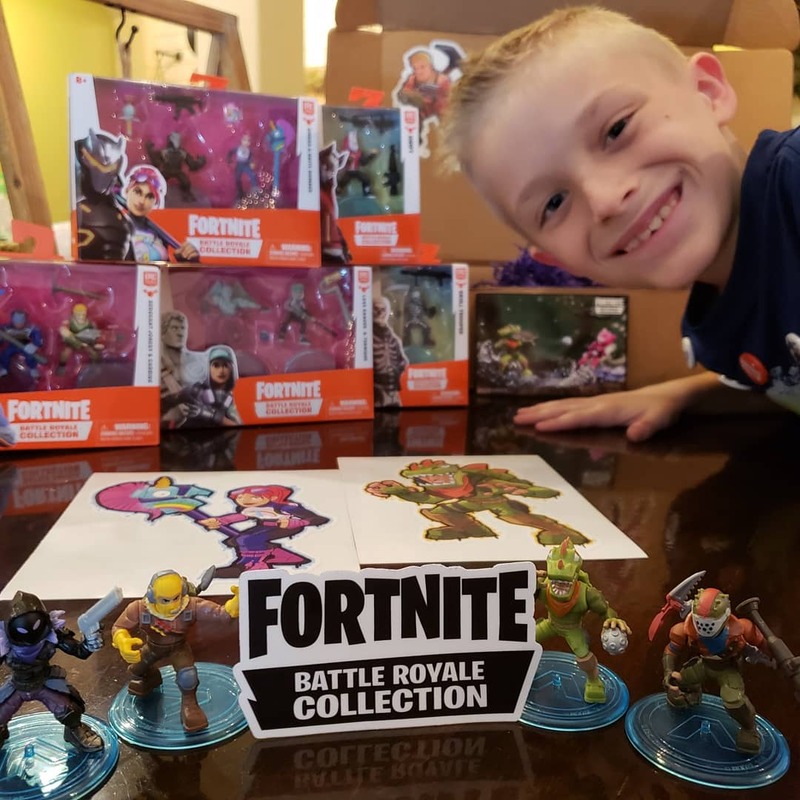 Yesterday a package arrived with a bunch of soon to be released figures. 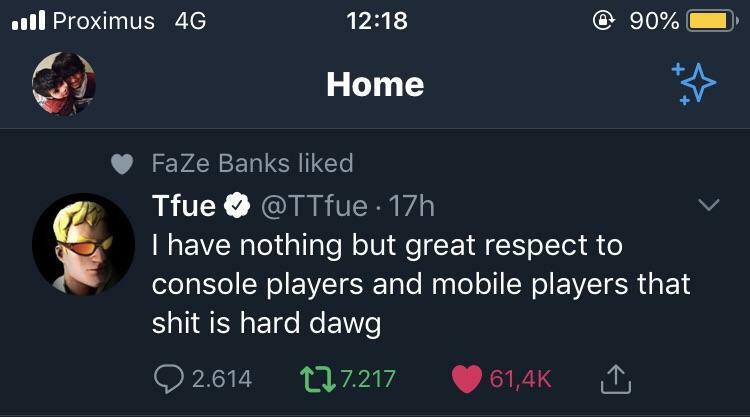 I love you all for literally impacting his life and confidence by the support you all have shown. 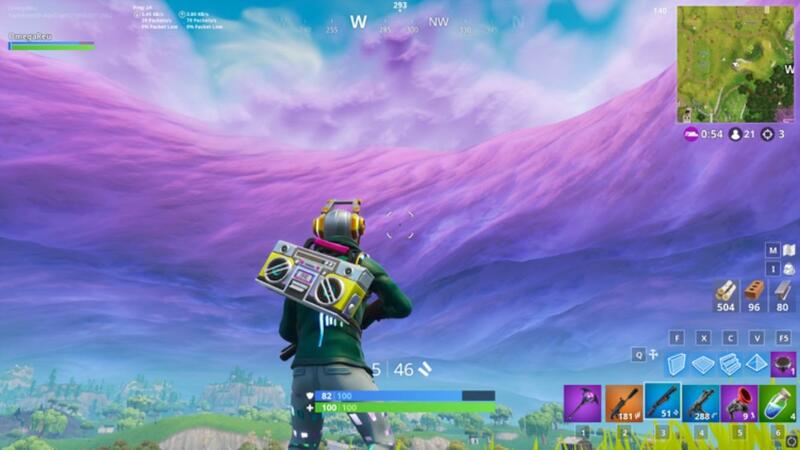 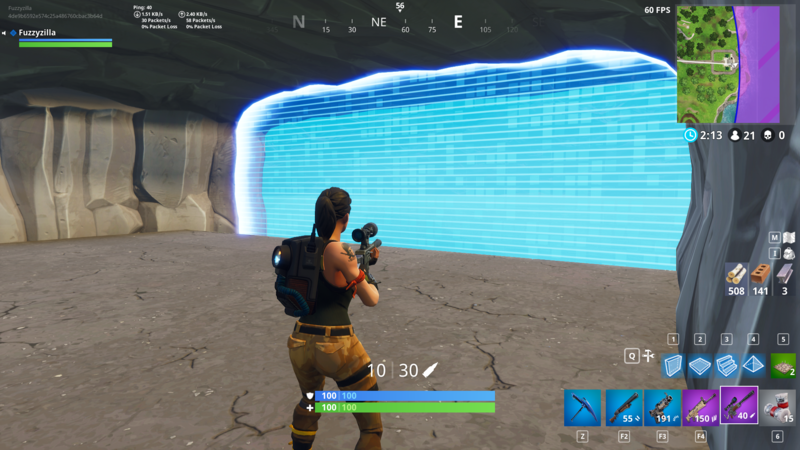 Yesterday, the storm lined up exactly with the secret base's entrance, making it look like something out of Star Wars. 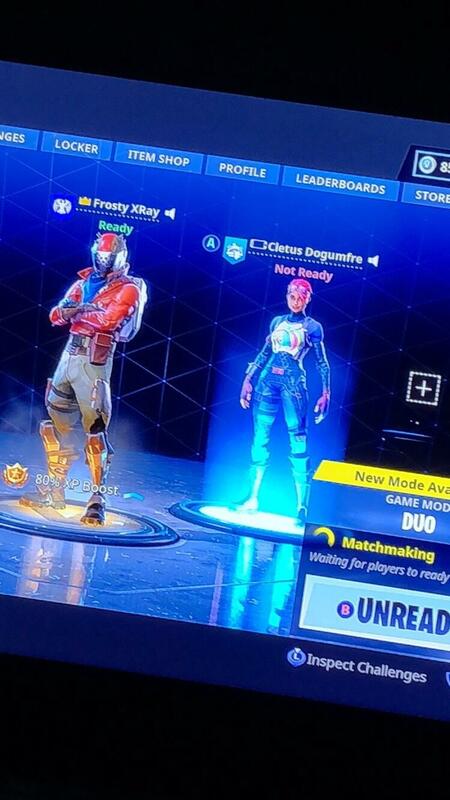 Cross-play allowed me to play with my bro who is currently deployed in Iraq. 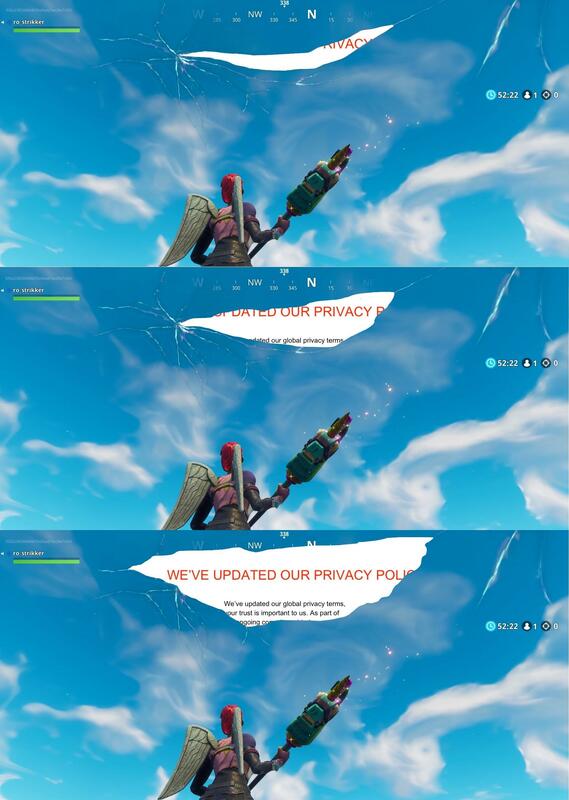 Thank you Epic. 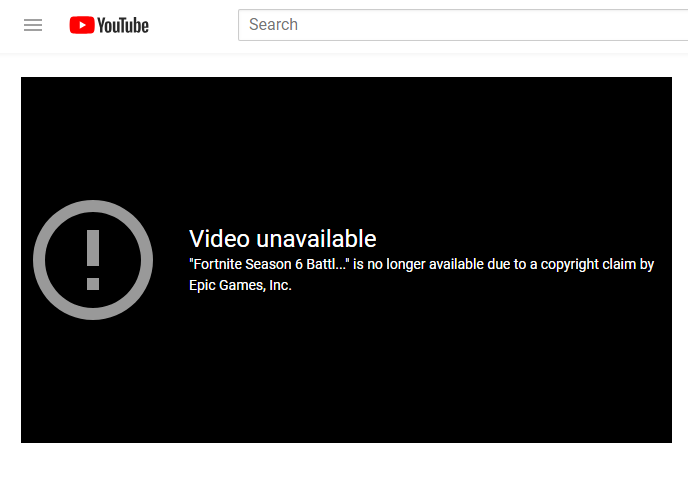 EPIC's own Battle Pass video got Copyright Striked by themselves. 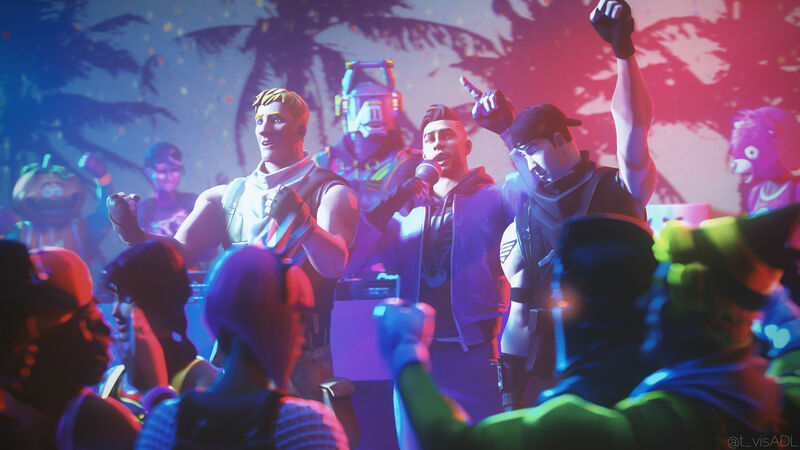 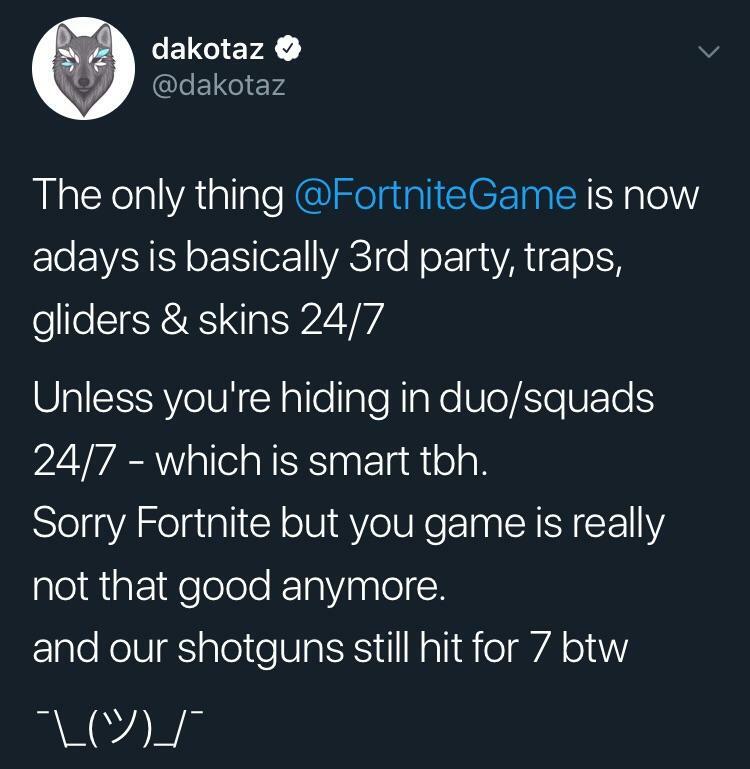 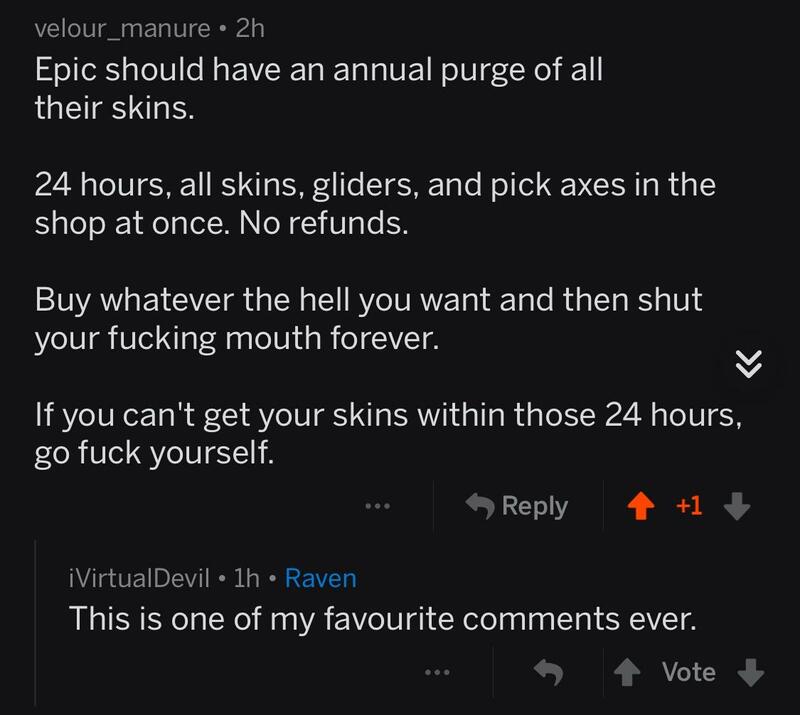 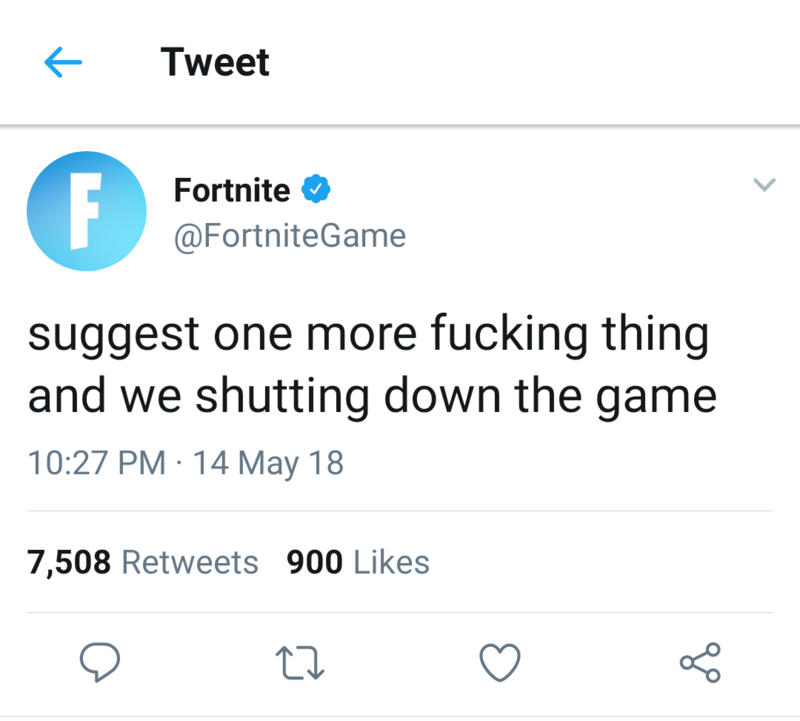 Epic’s Response to the recent events and the player’s response to it. 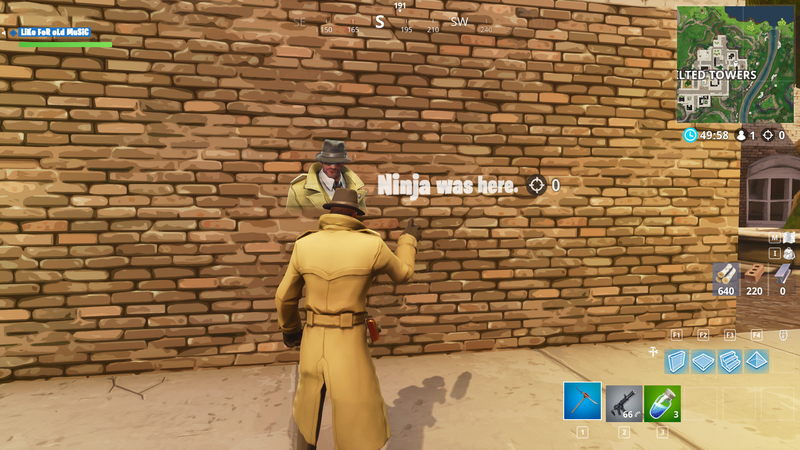 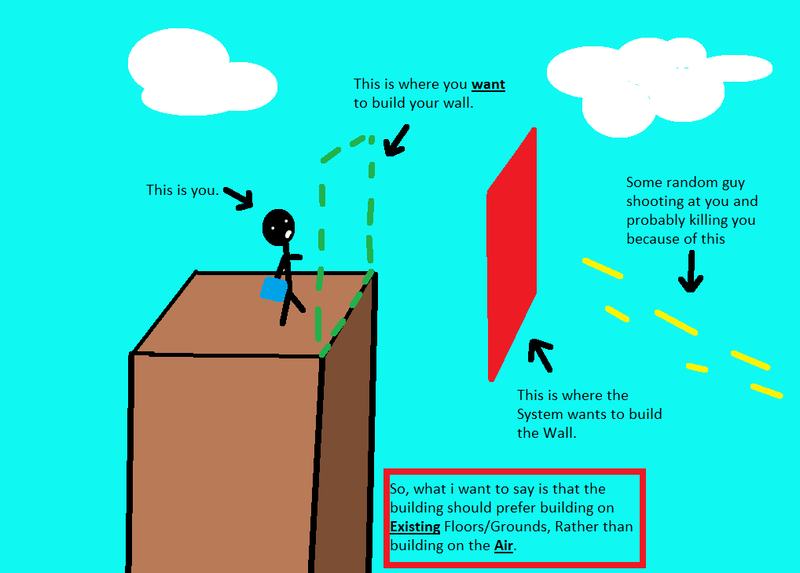 Epic, Please Fix the Positioning for Walls! 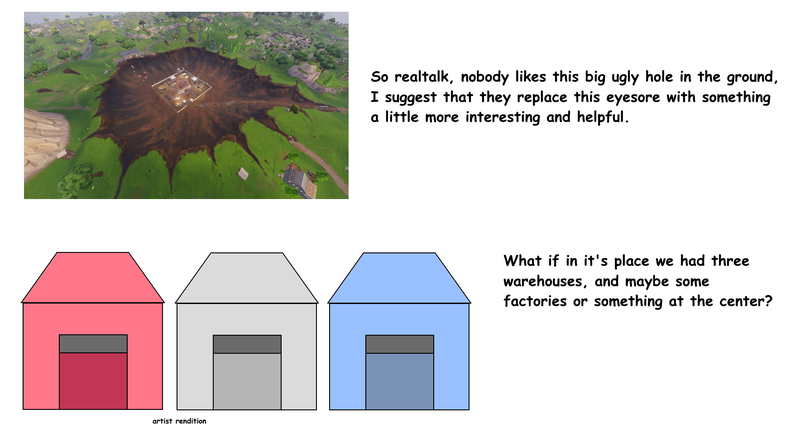 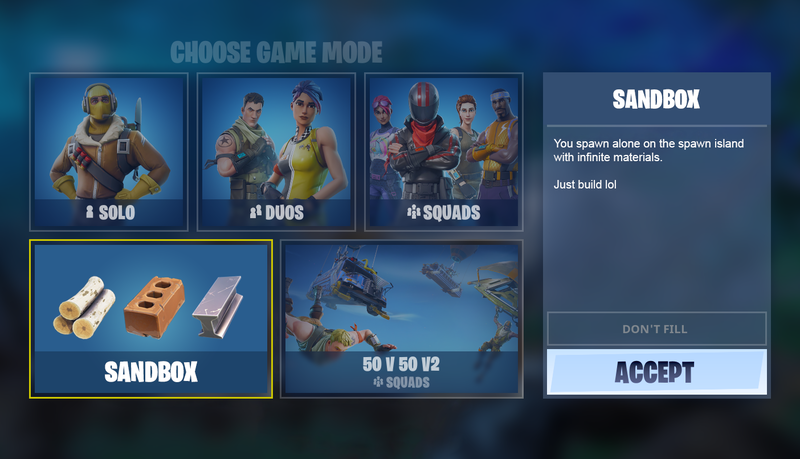 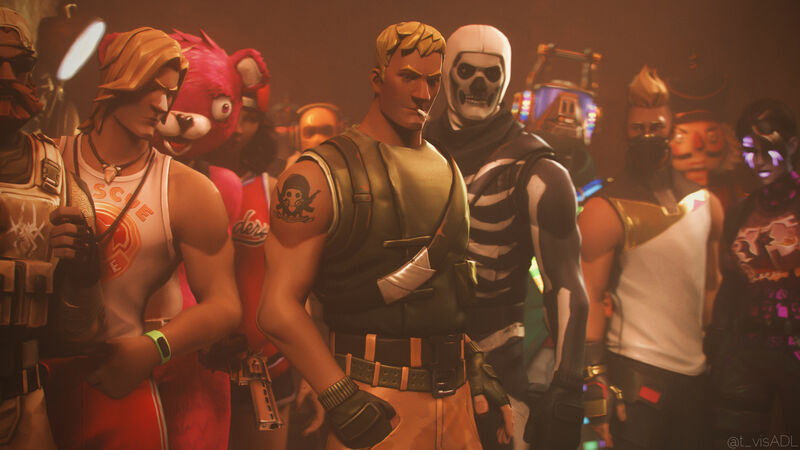 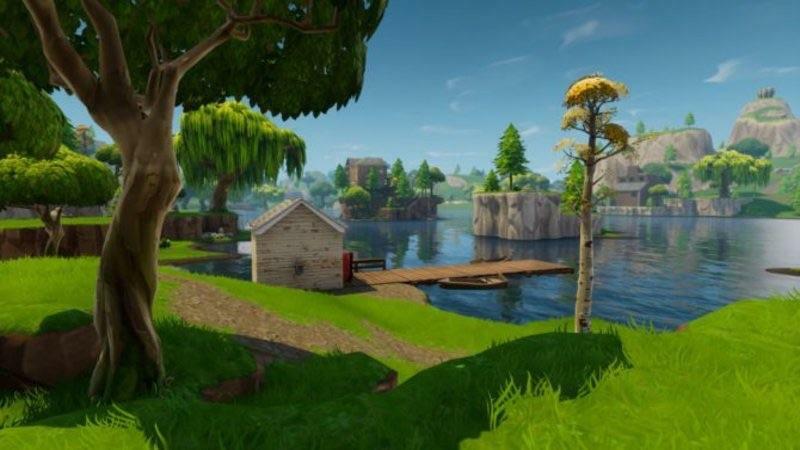 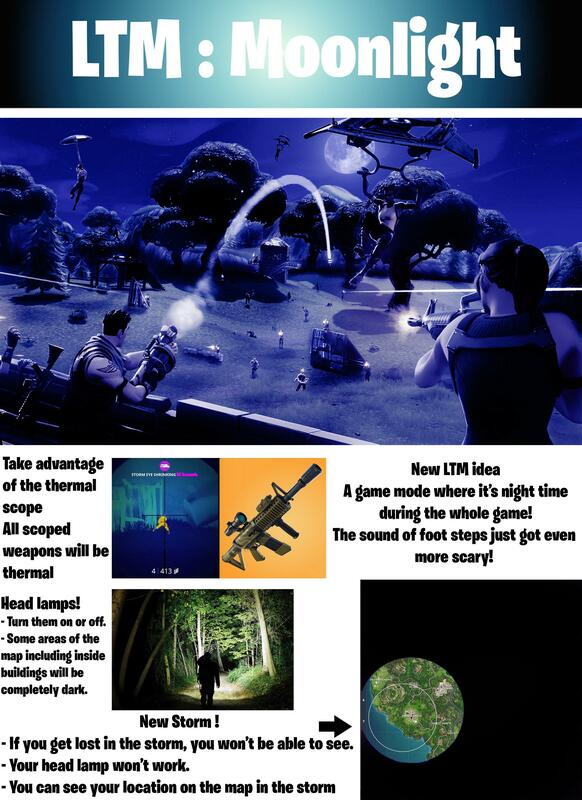 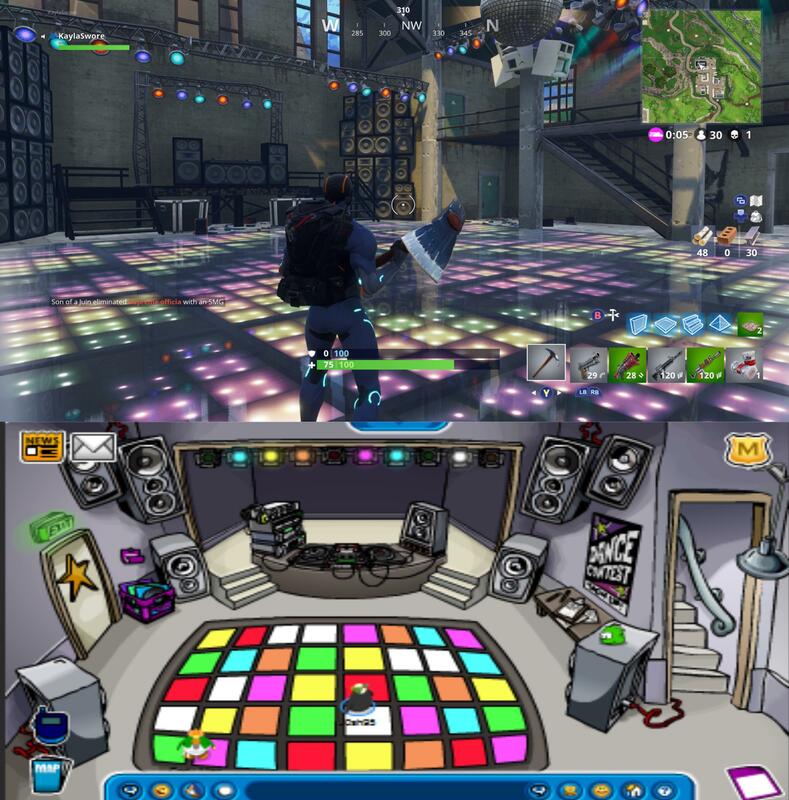 [SUGGESTION] Add Fortnite to Earth so my mom will stop telling me I’m wasting my life in a virtual world. 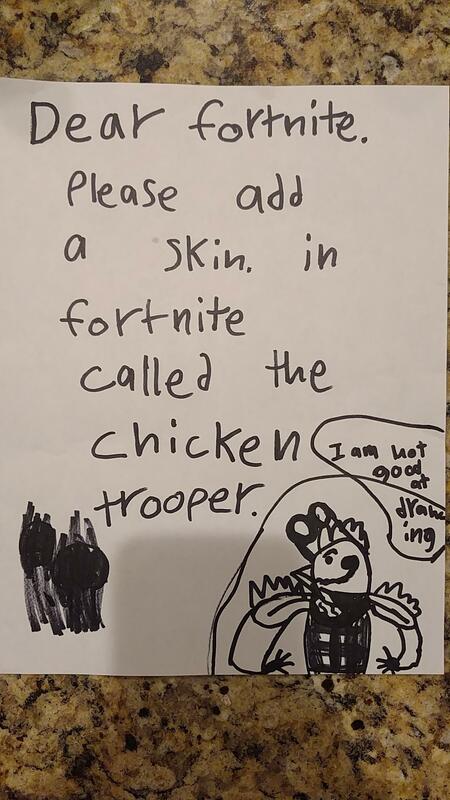 My 13 year old sister - Who plays on mobile, absolutely loved the new galaxy skin. 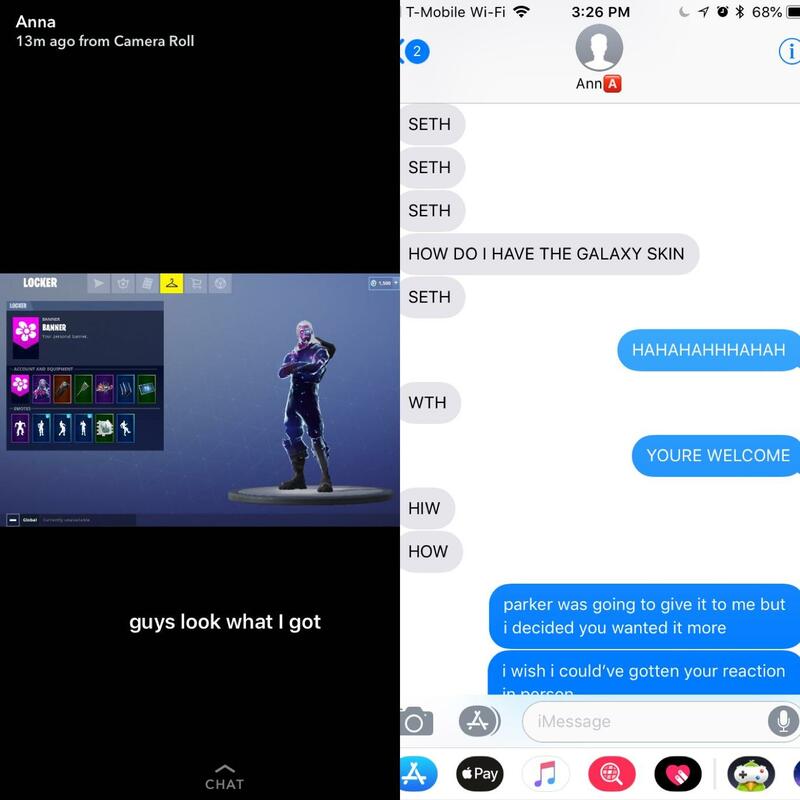 My friend has two S9’s from his parents. 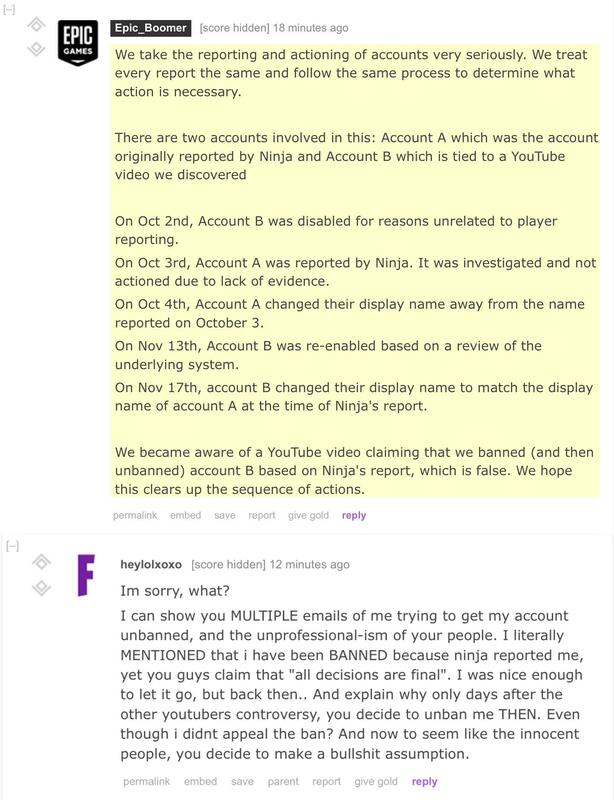 He gave himself one and instead of giving me one we decided to log into my little sisters account and give it to her instead. 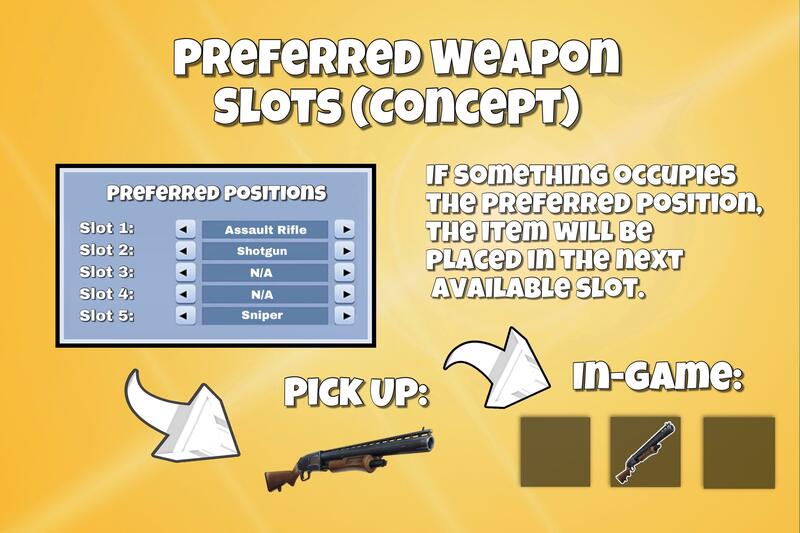 Another Suggestion! 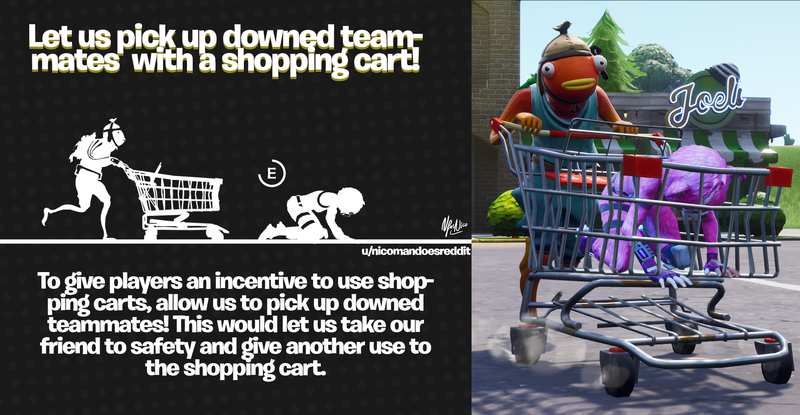 Allow us to pick up downed teammates with shopping carts! 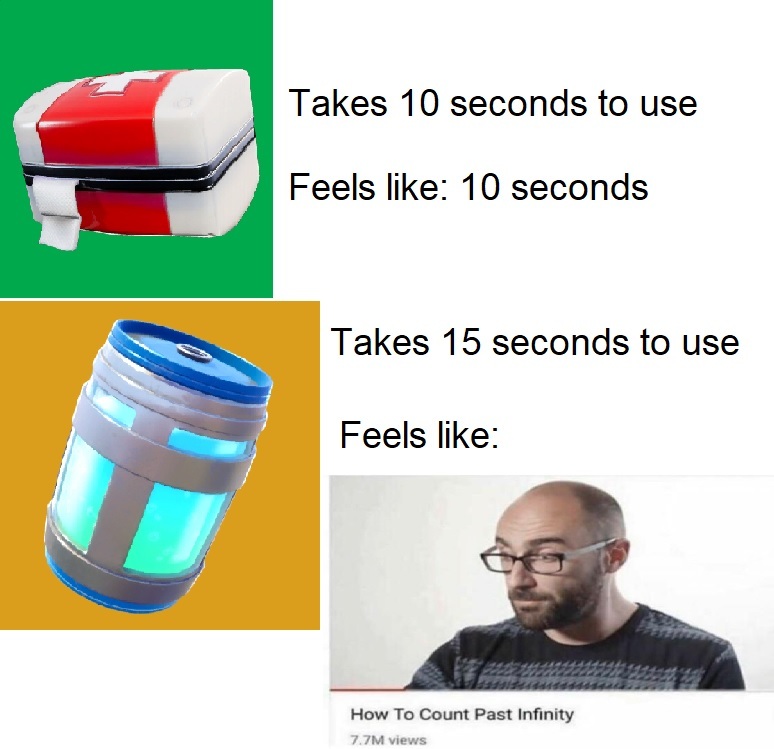 Since this is a fast growing community. 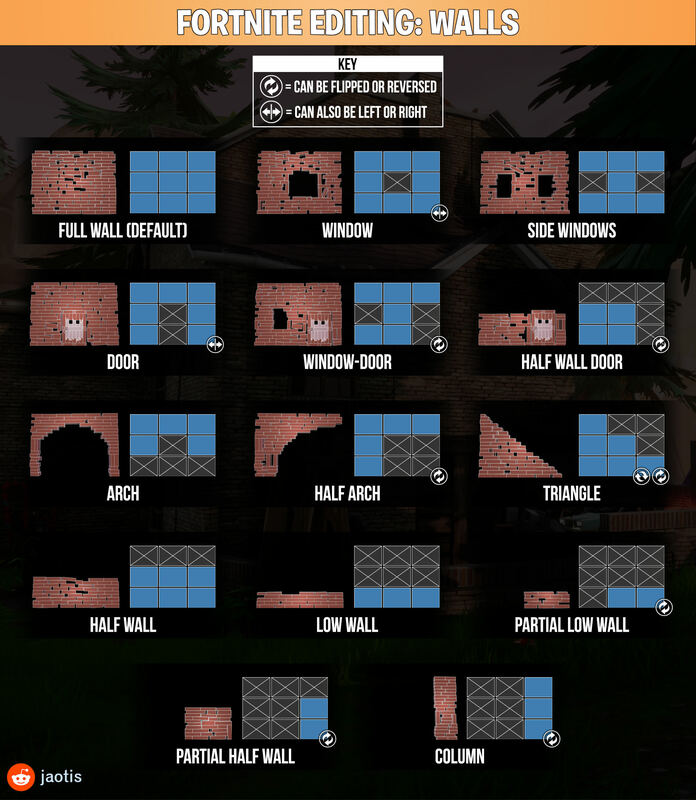 Thought some of you may find this helpful. 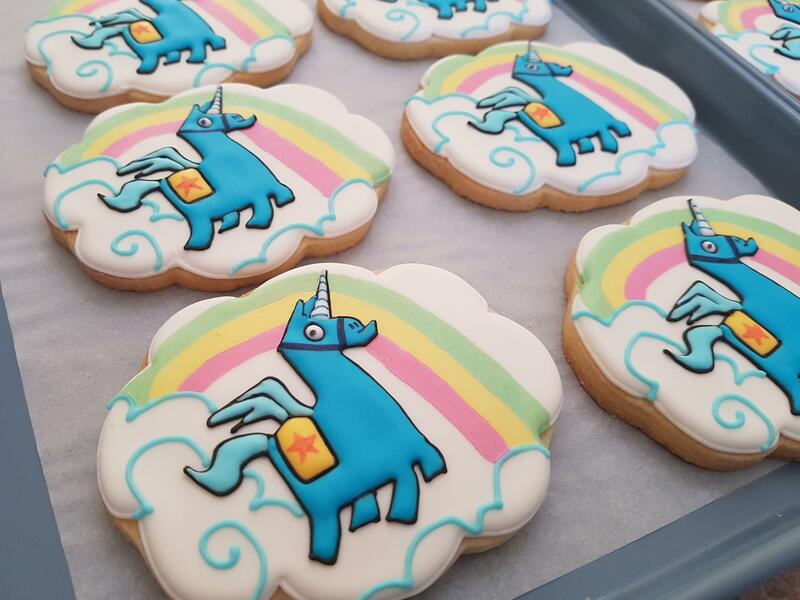 Made these for my son to take to school on his birthday. 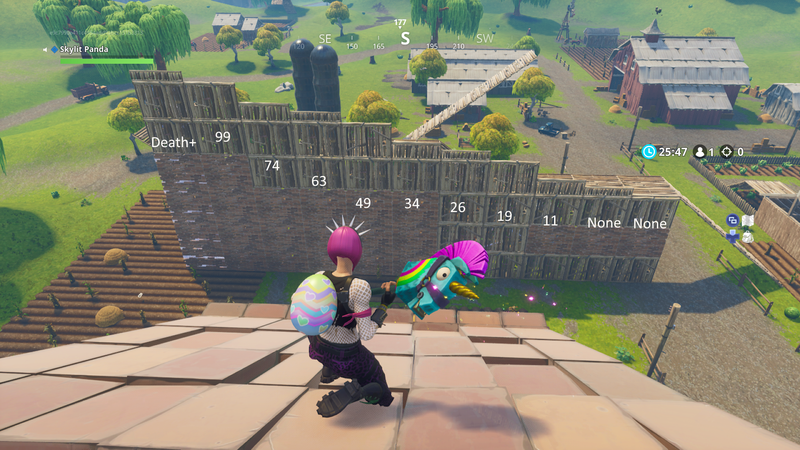 Some totally scientifical fall damage research done by my team and I! 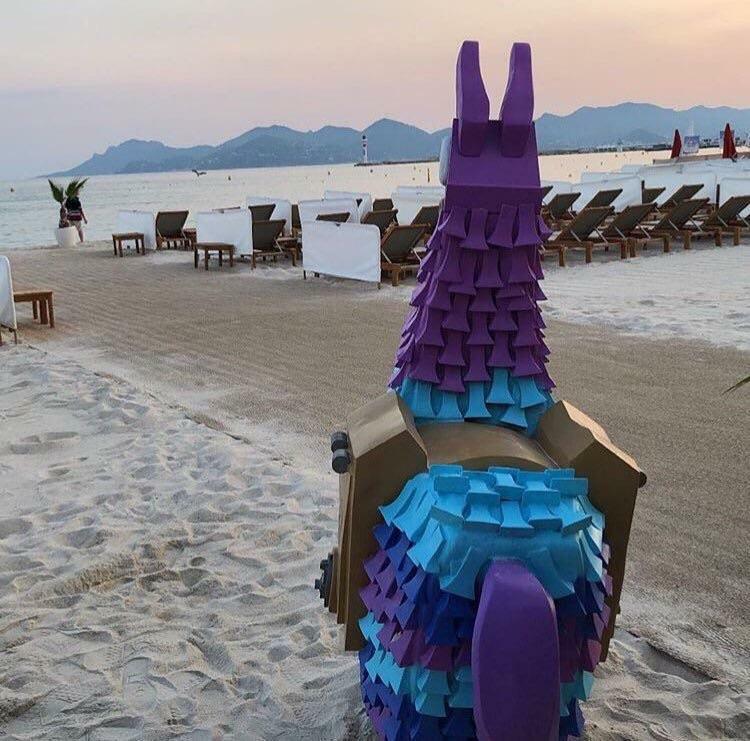 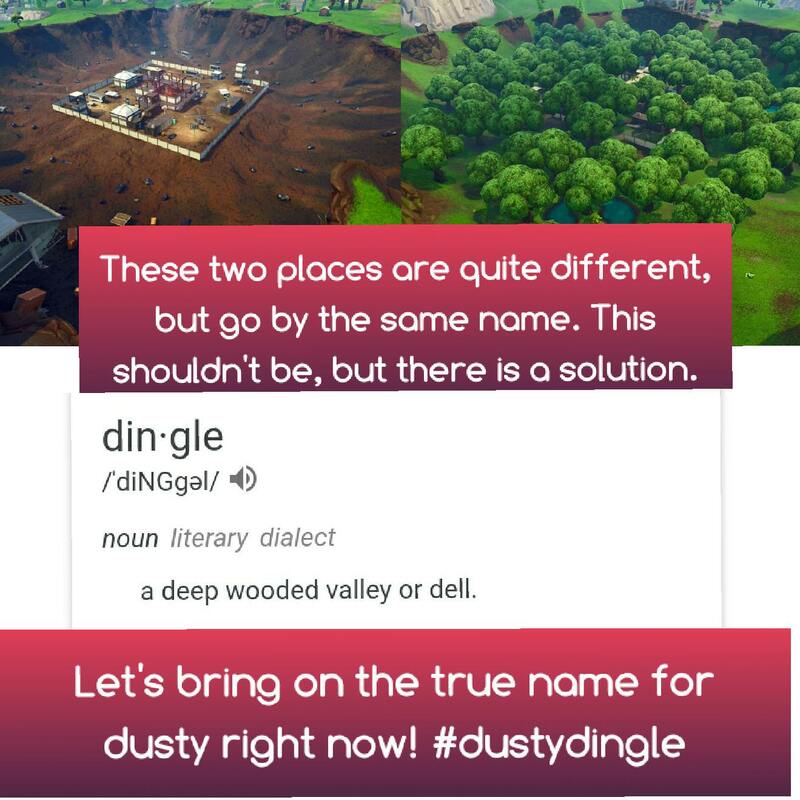 Dusty Divot (225 days) has now been in the game longer than Dusty Depot (217 days) was. 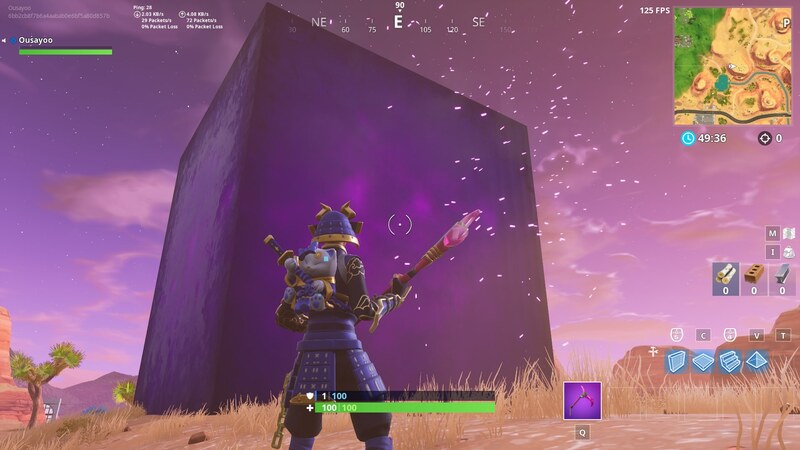 What it has all been leading up to. 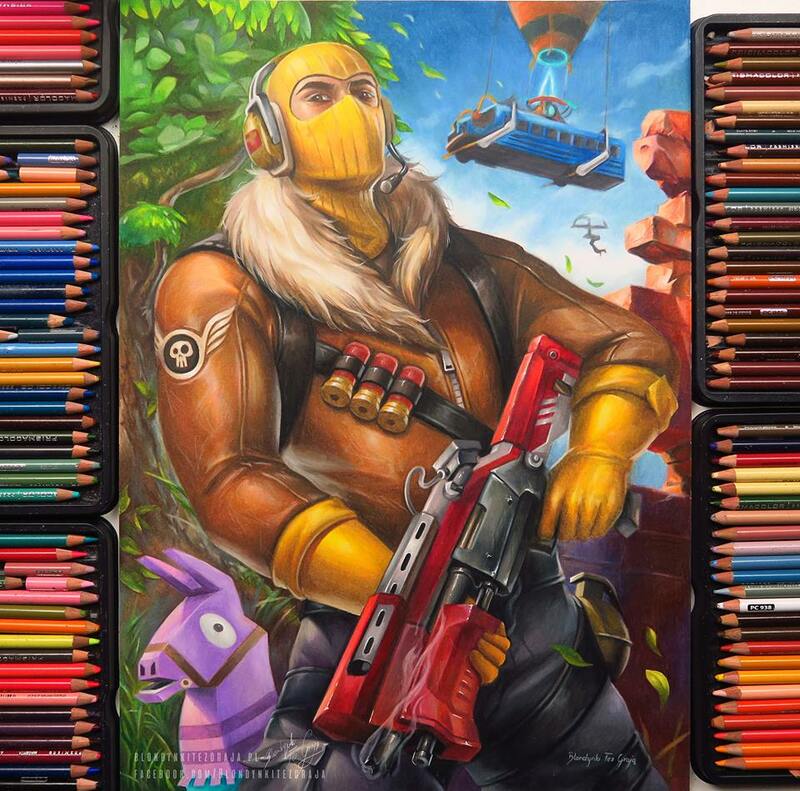 I am really bad Fortnite player so I put my skills to different use and made this drawing of Lynx! 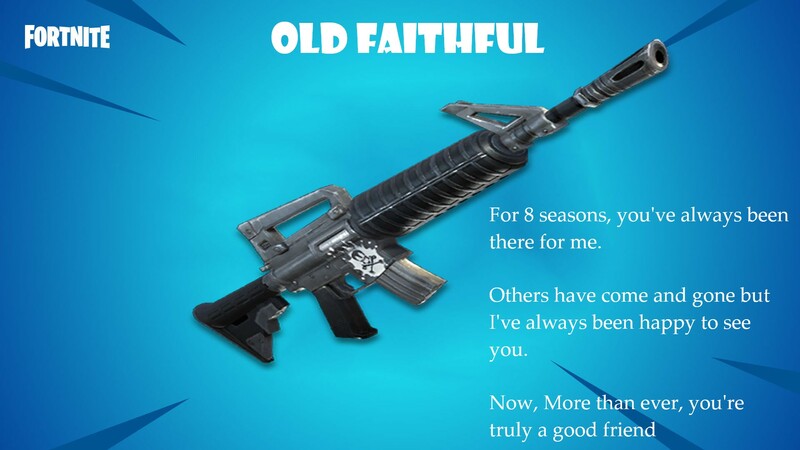 I hope You will enjoy it! 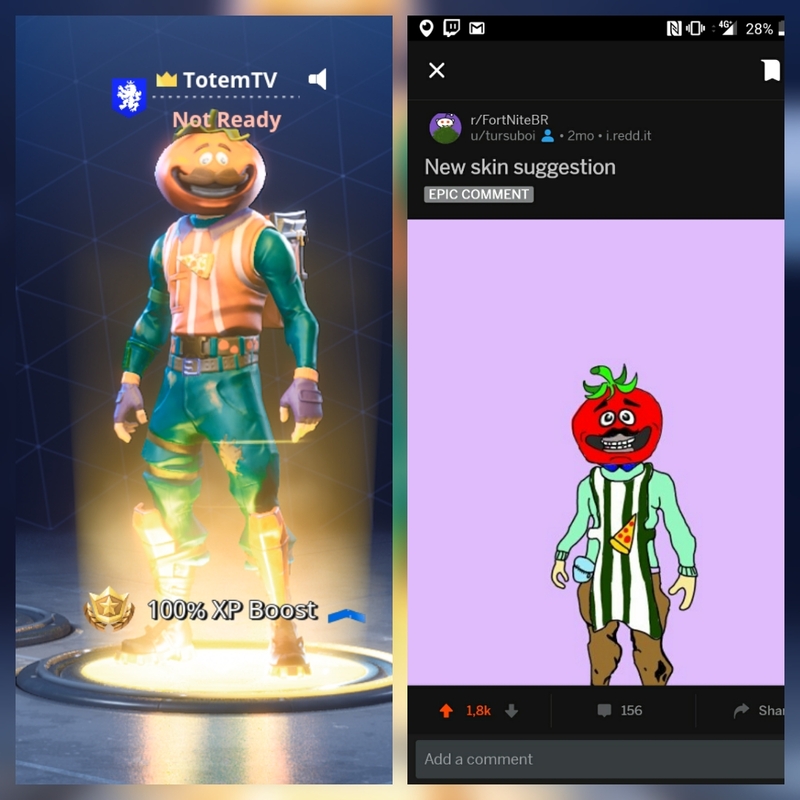 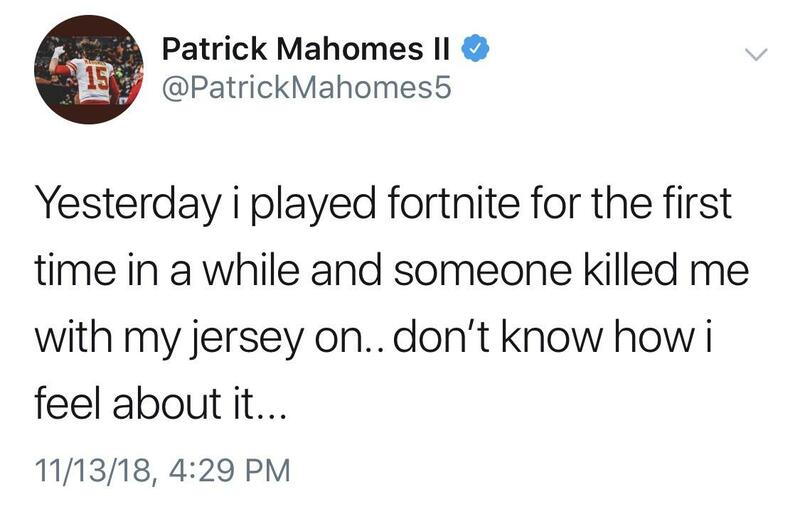 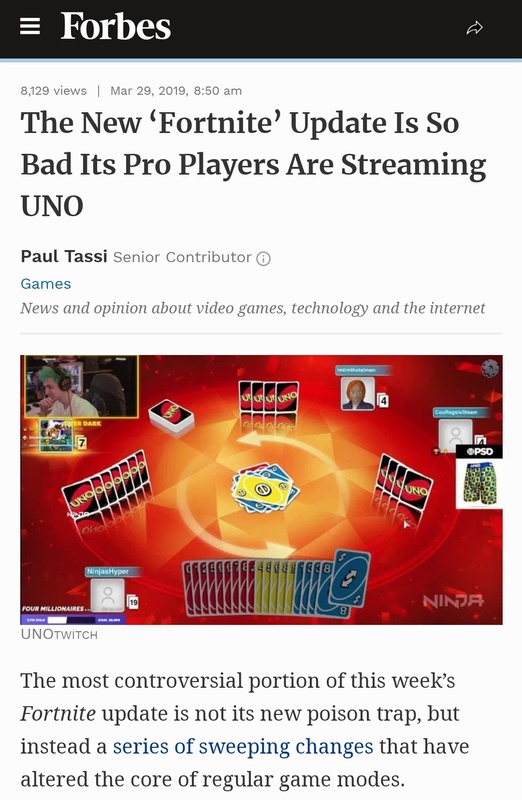 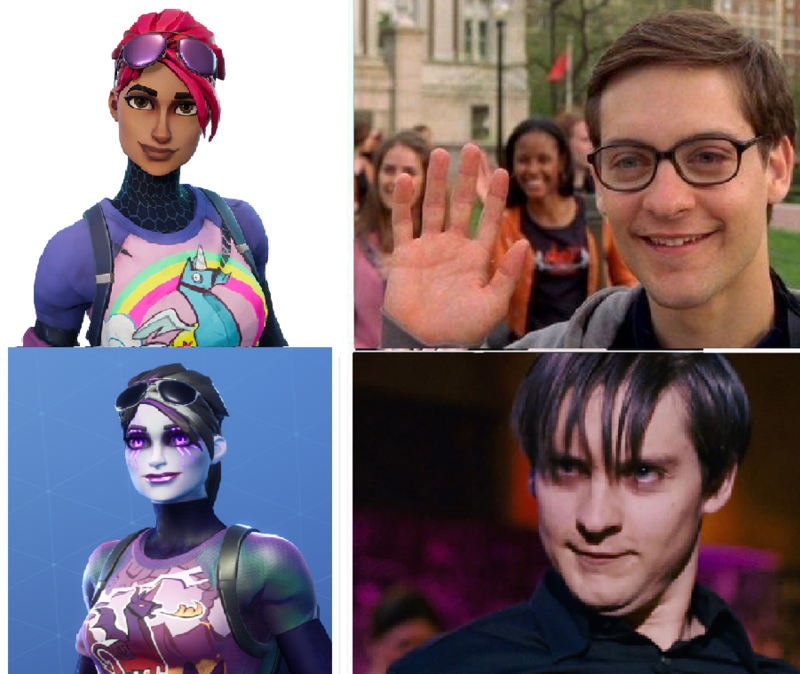 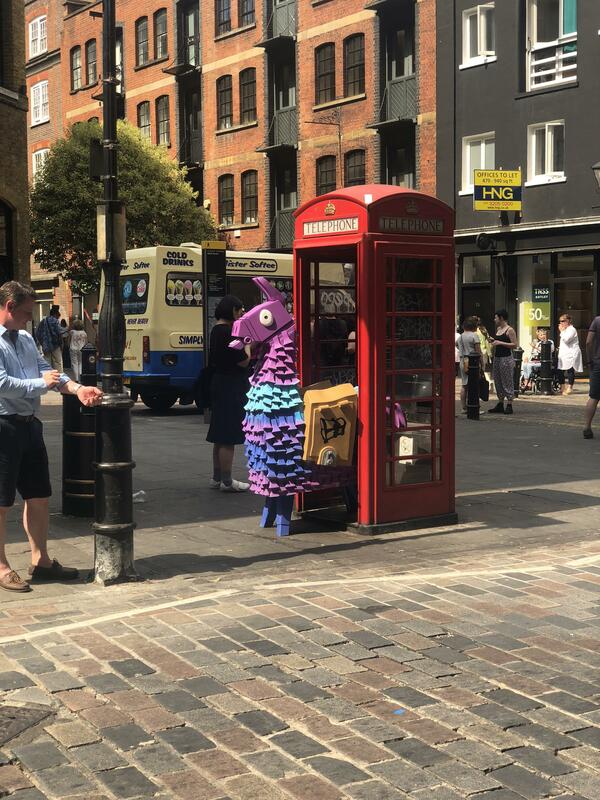 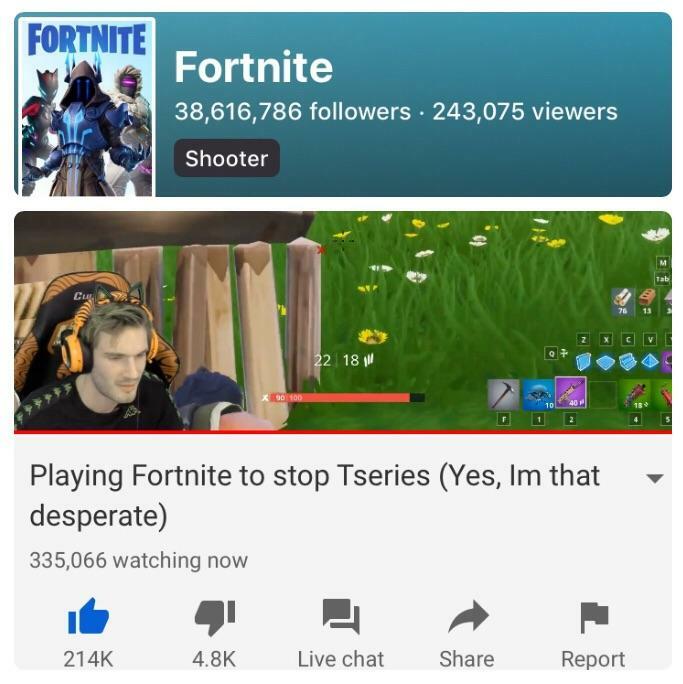 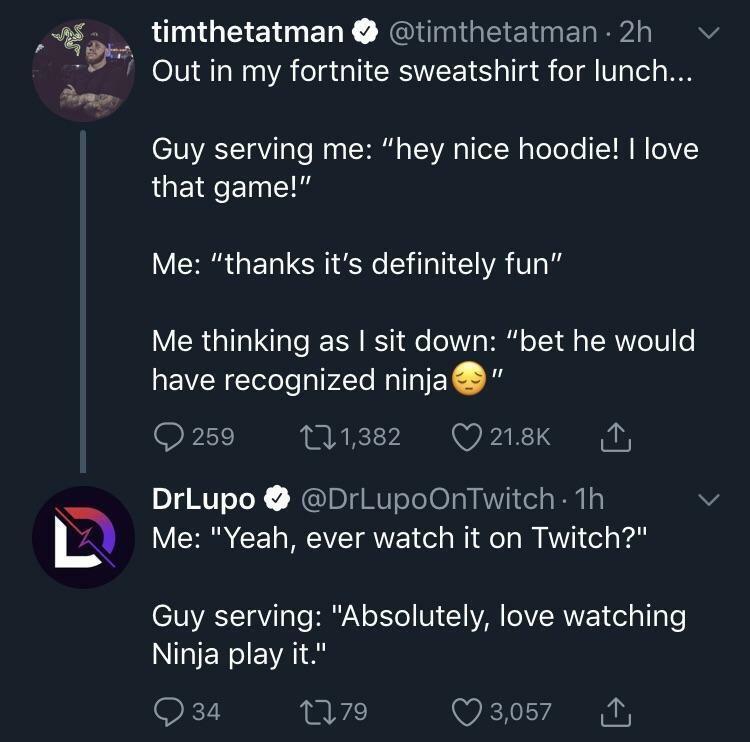 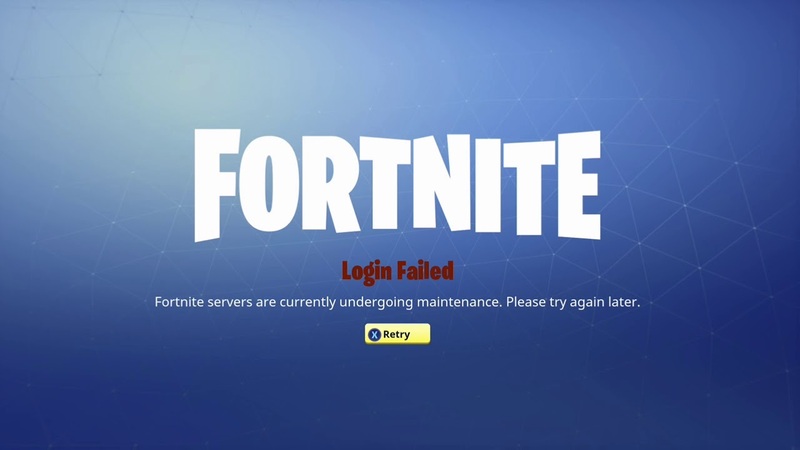 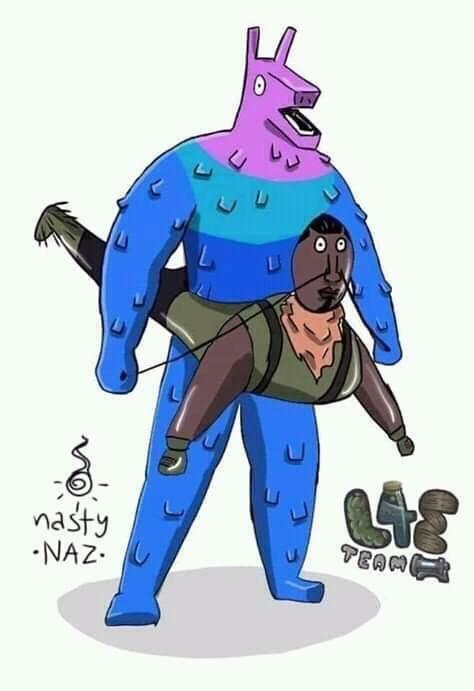 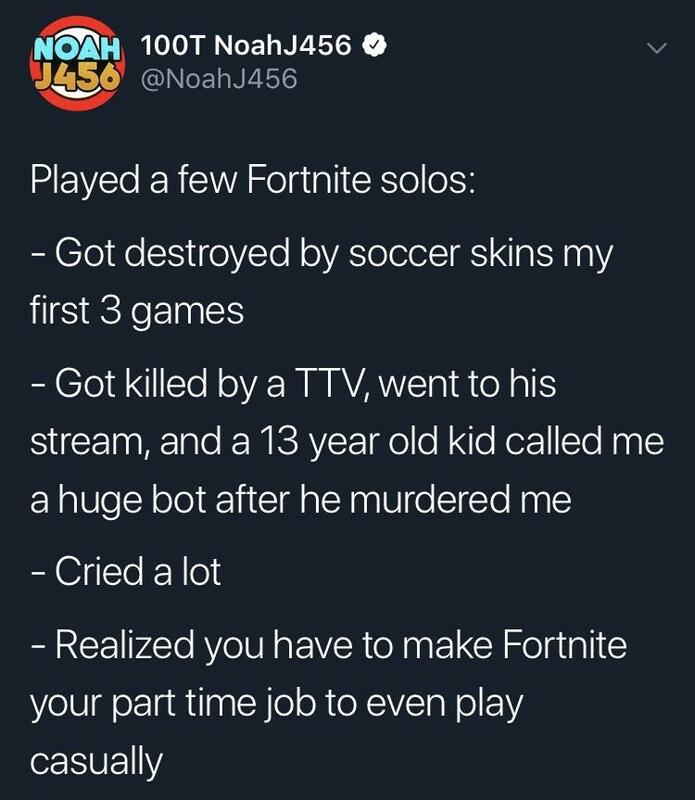 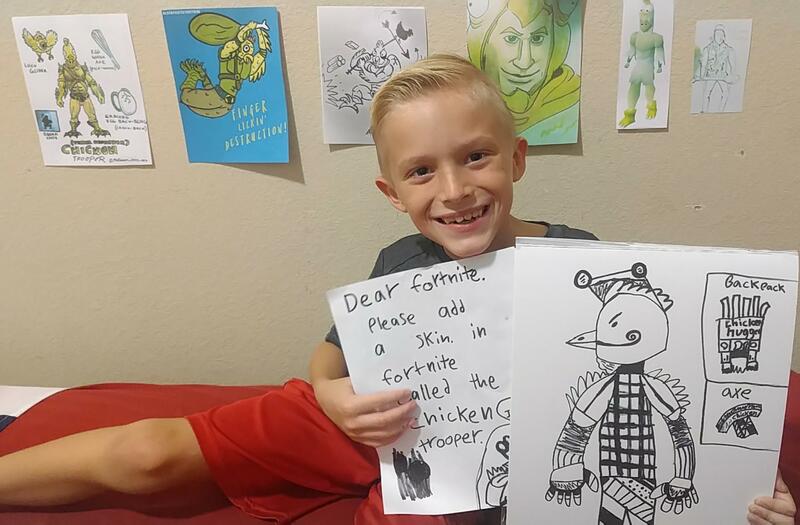 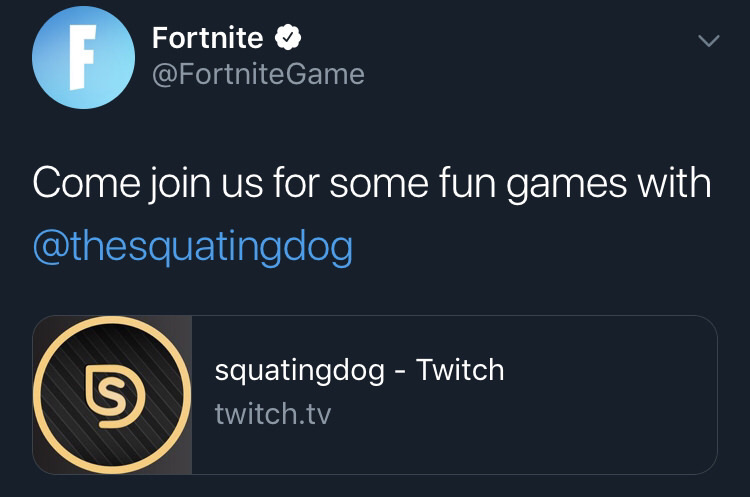 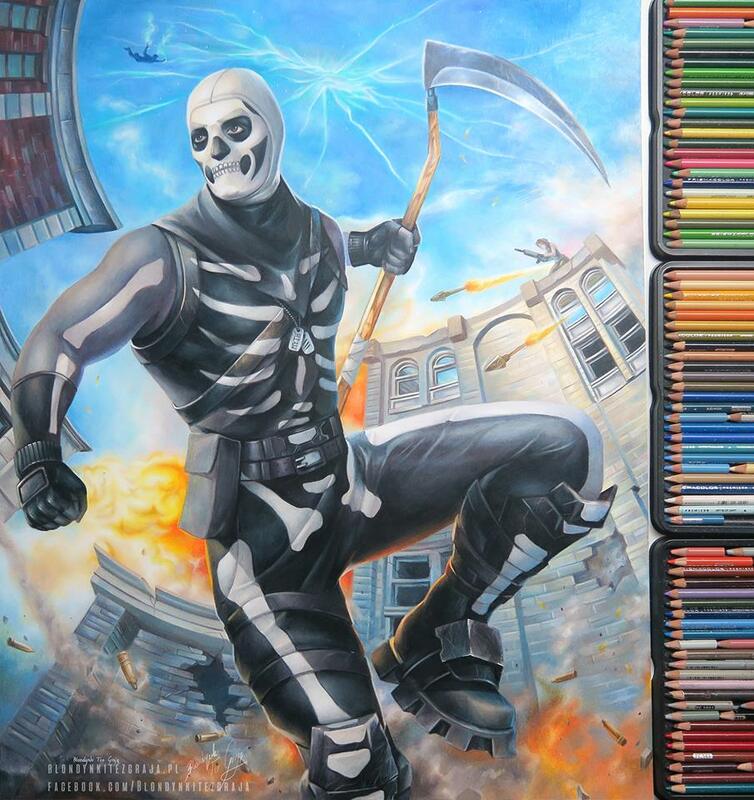 What has Fortnite done to humanity? 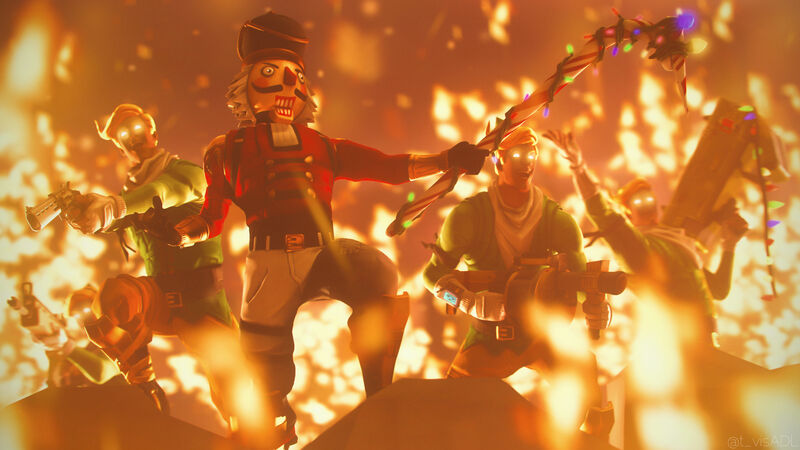 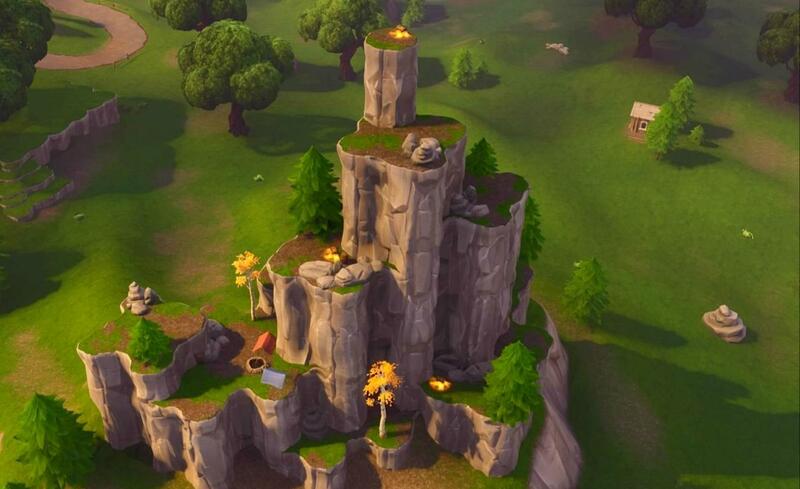 Suggestion : Light up and use the permanent campfires for 300 wood. 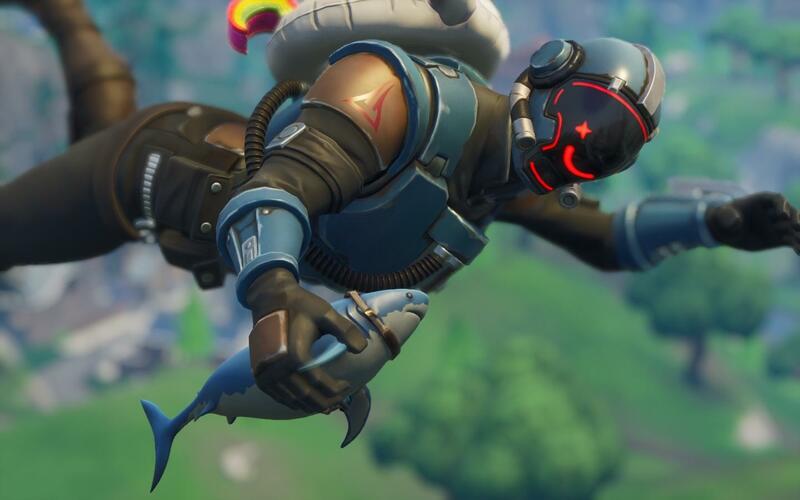 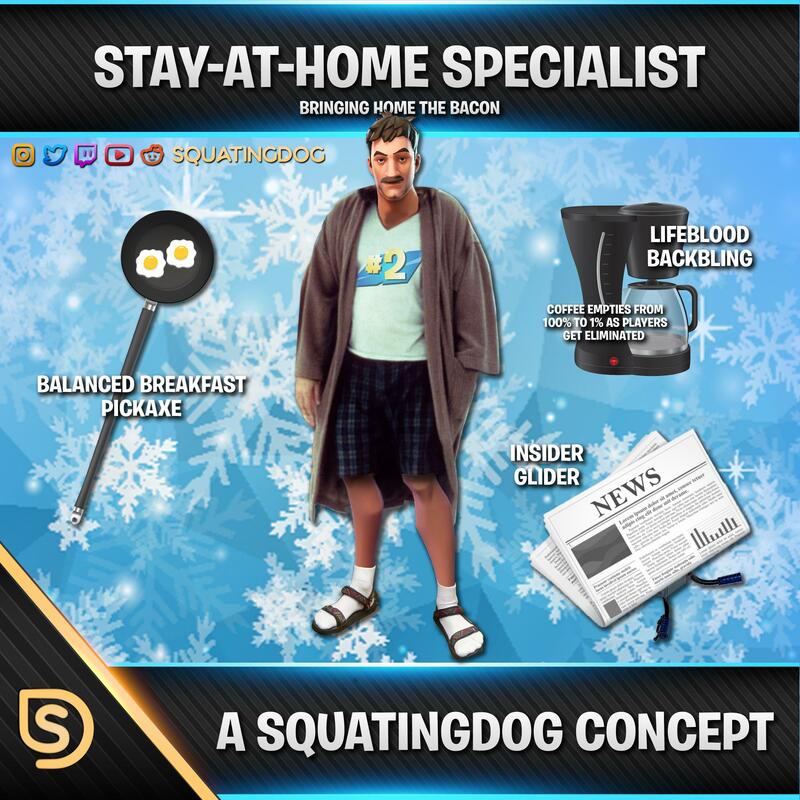 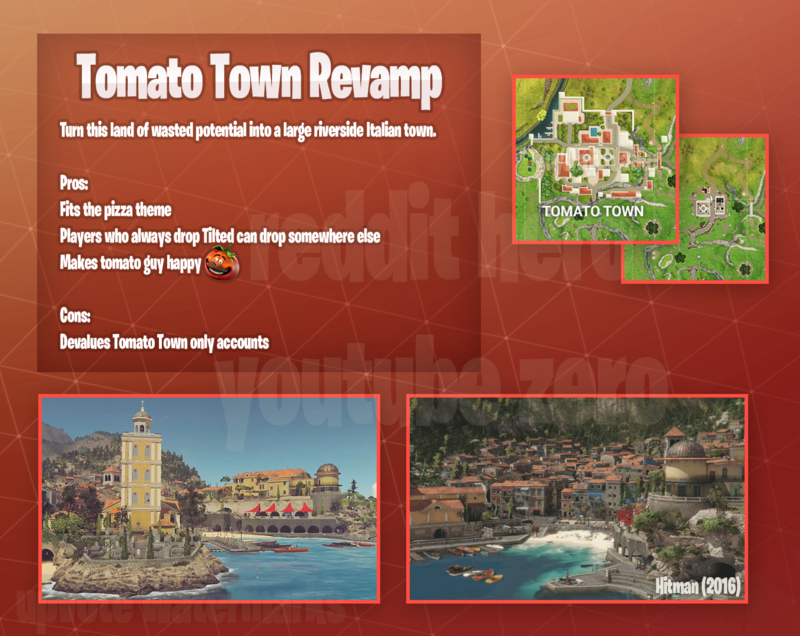 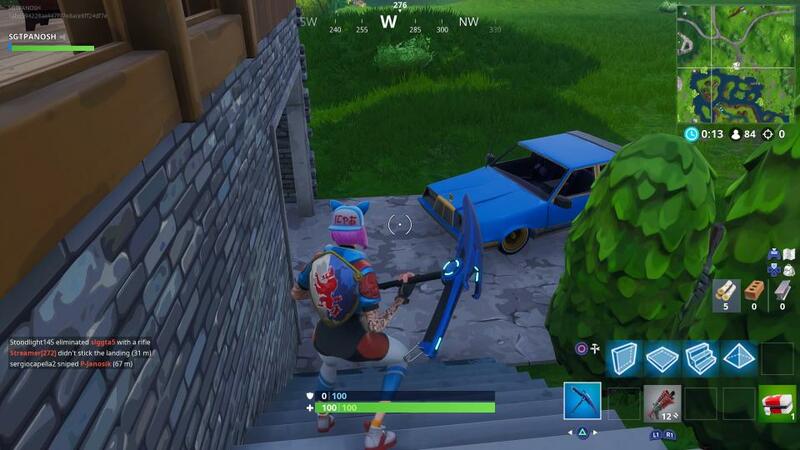 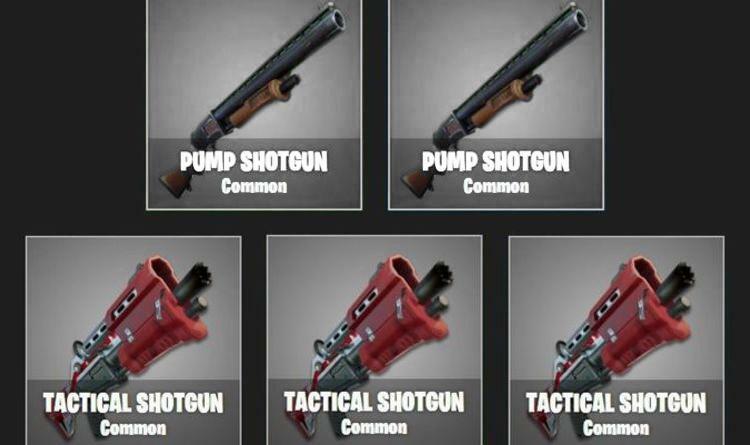 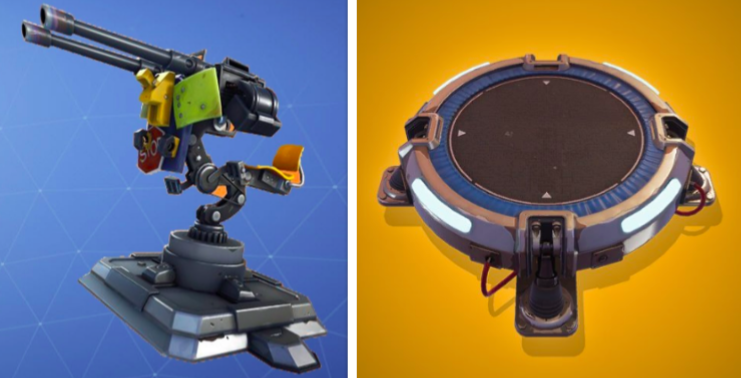 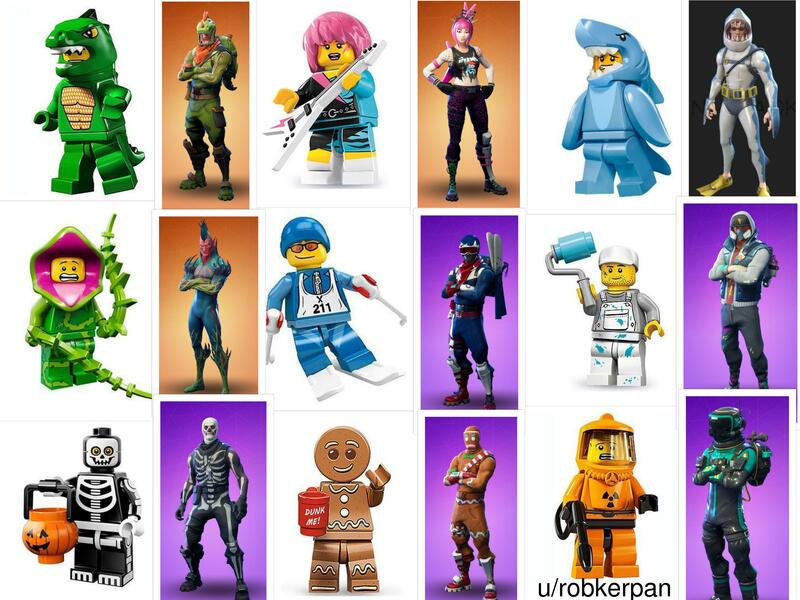 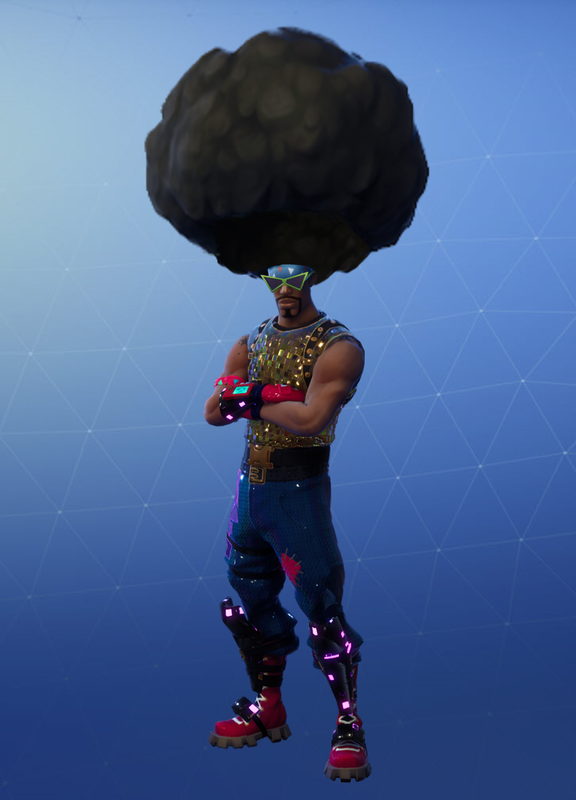 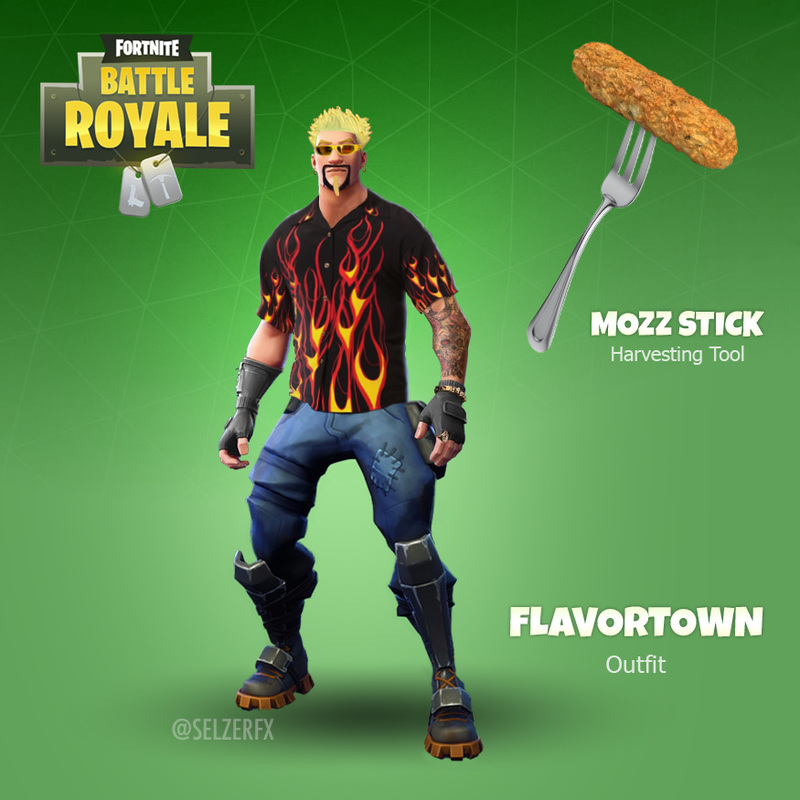 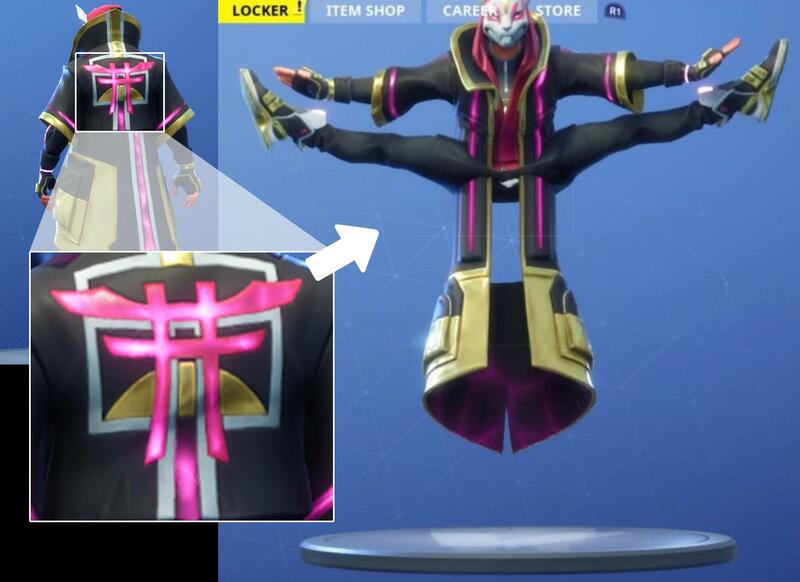 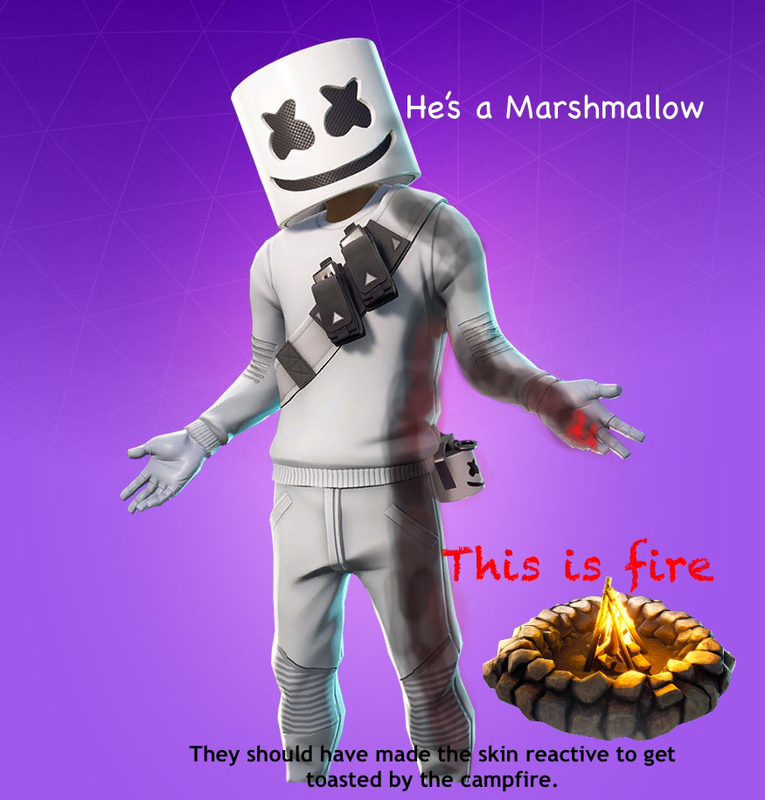 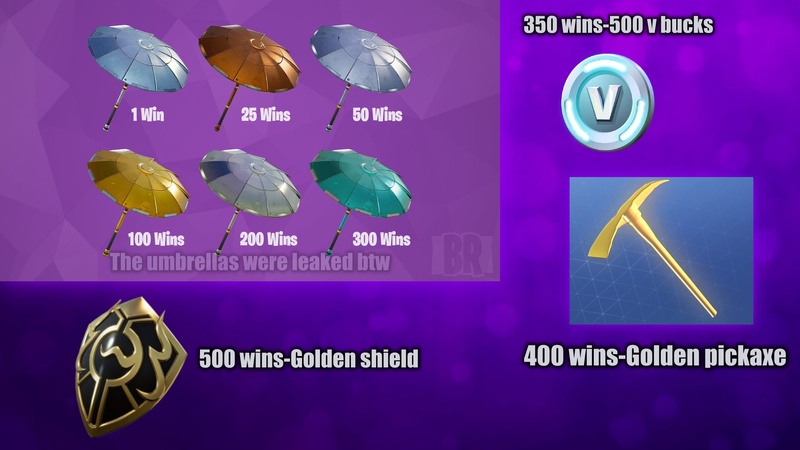 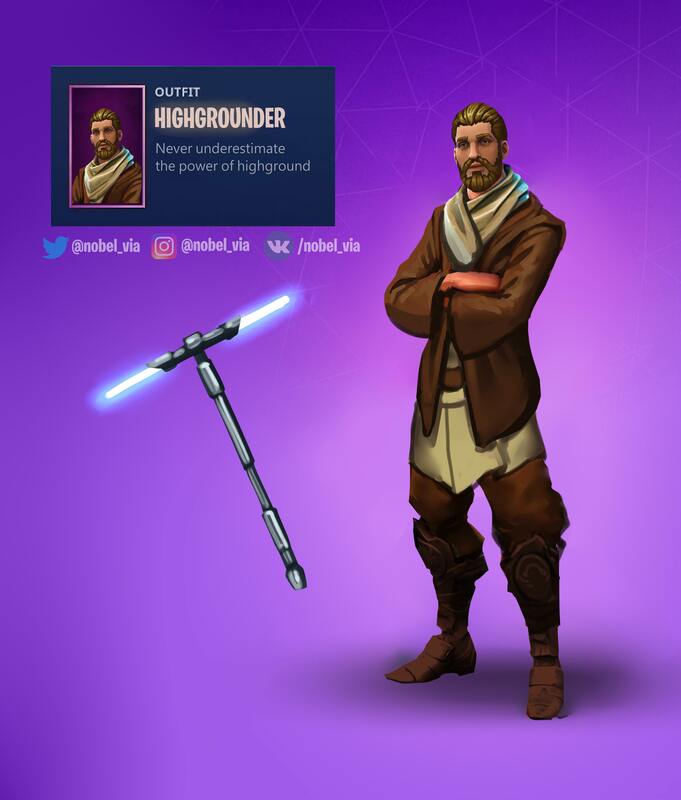 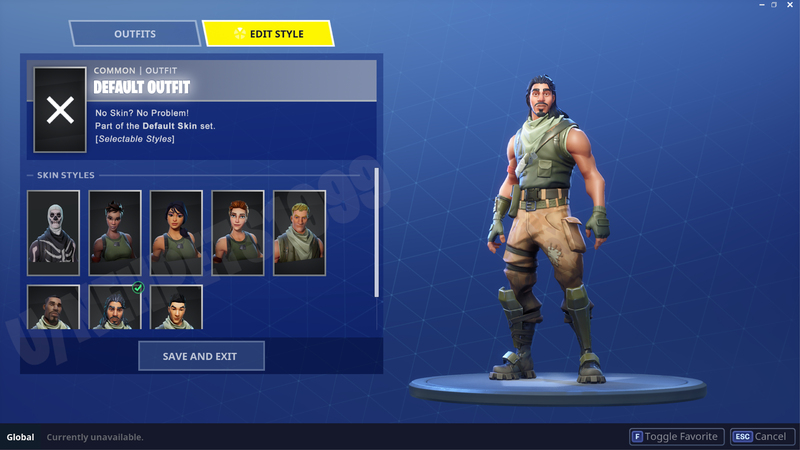 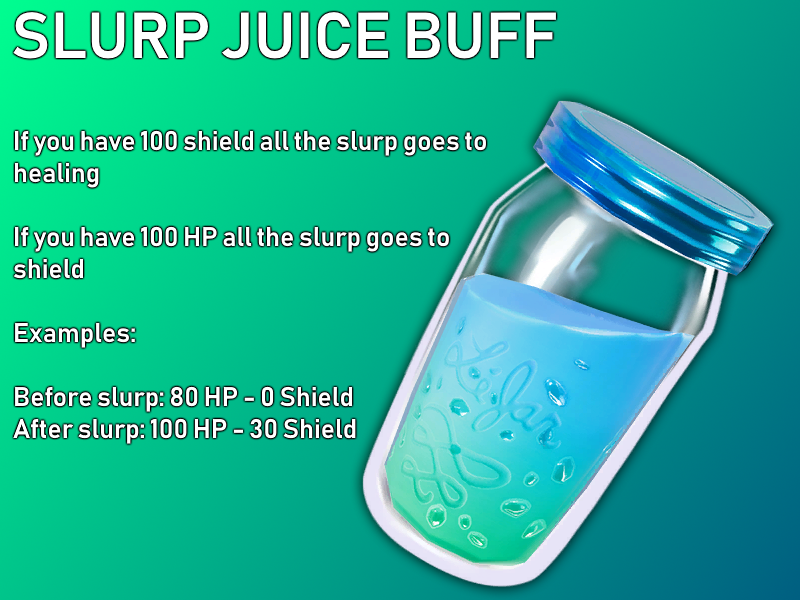 Please Epic! 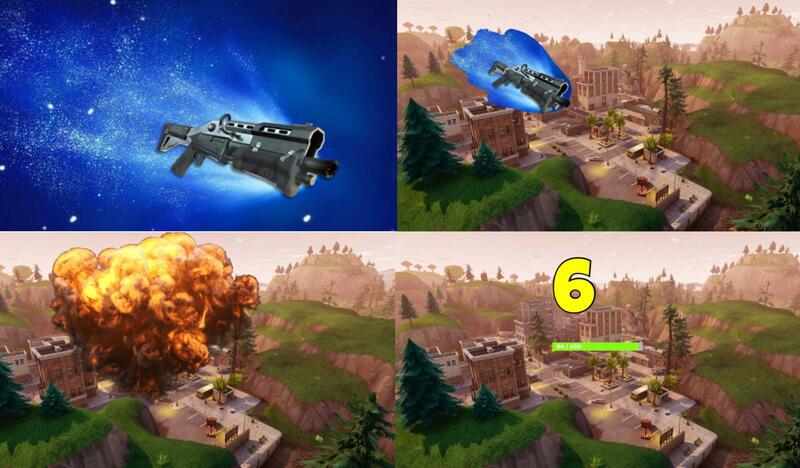 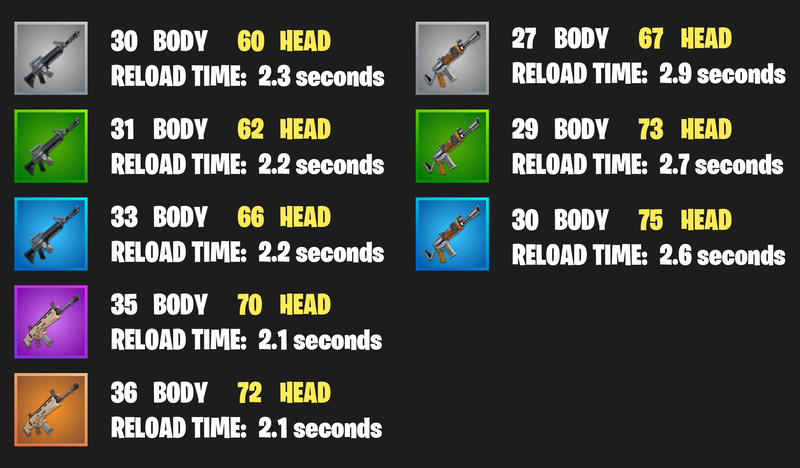 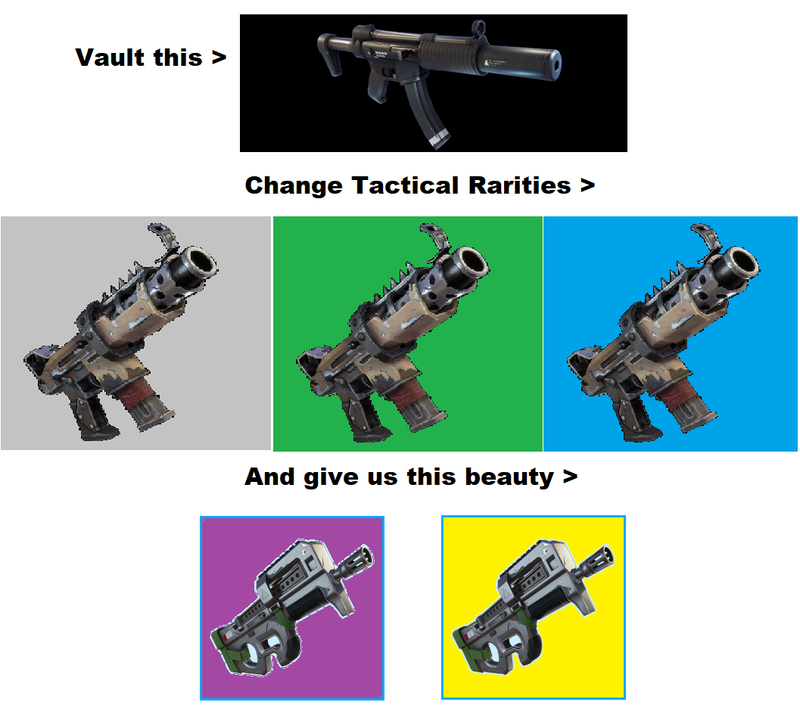 Add the P90! 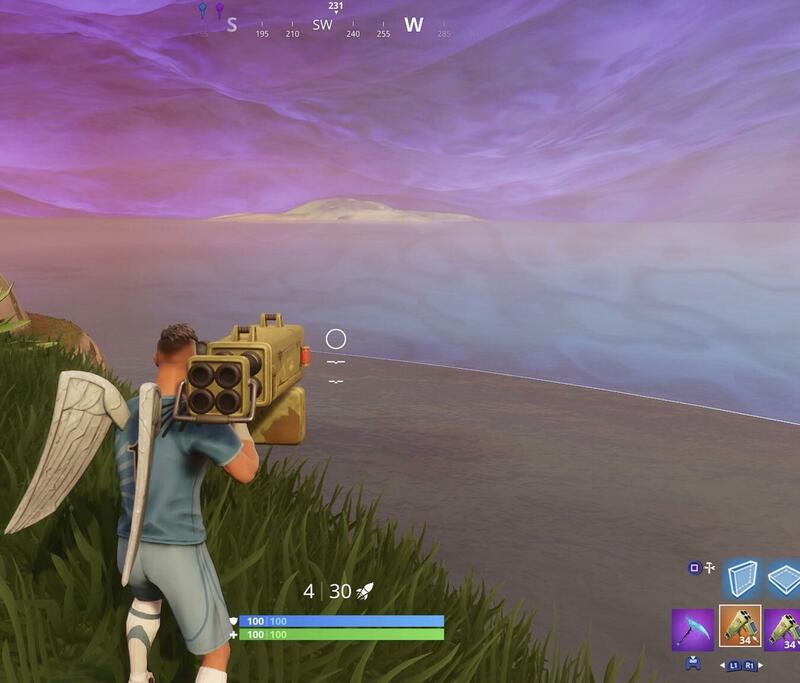 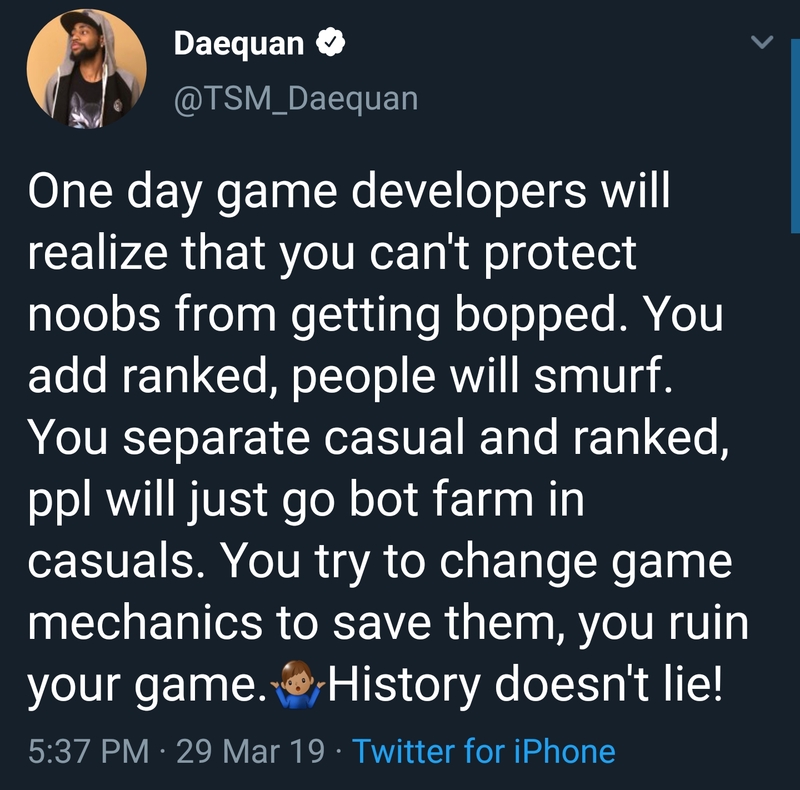 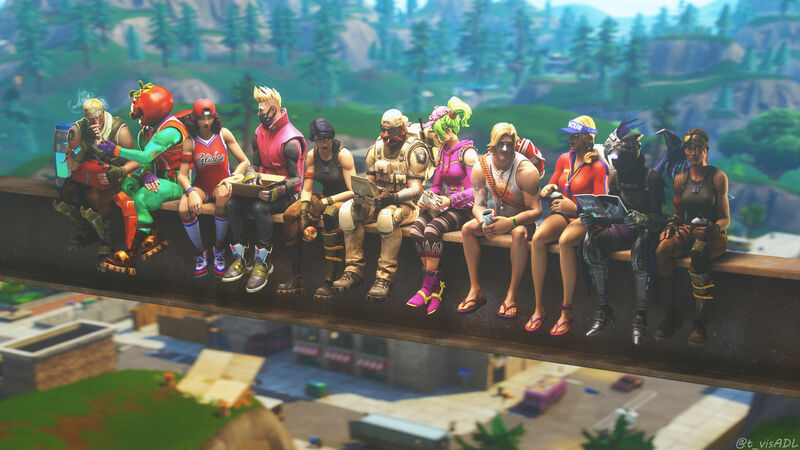 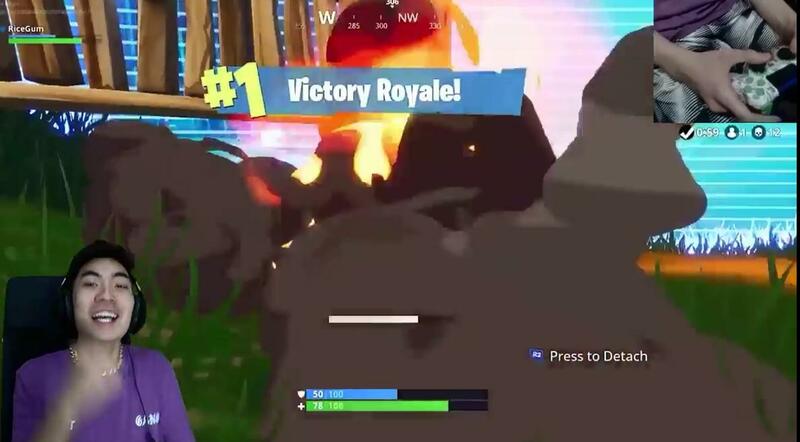 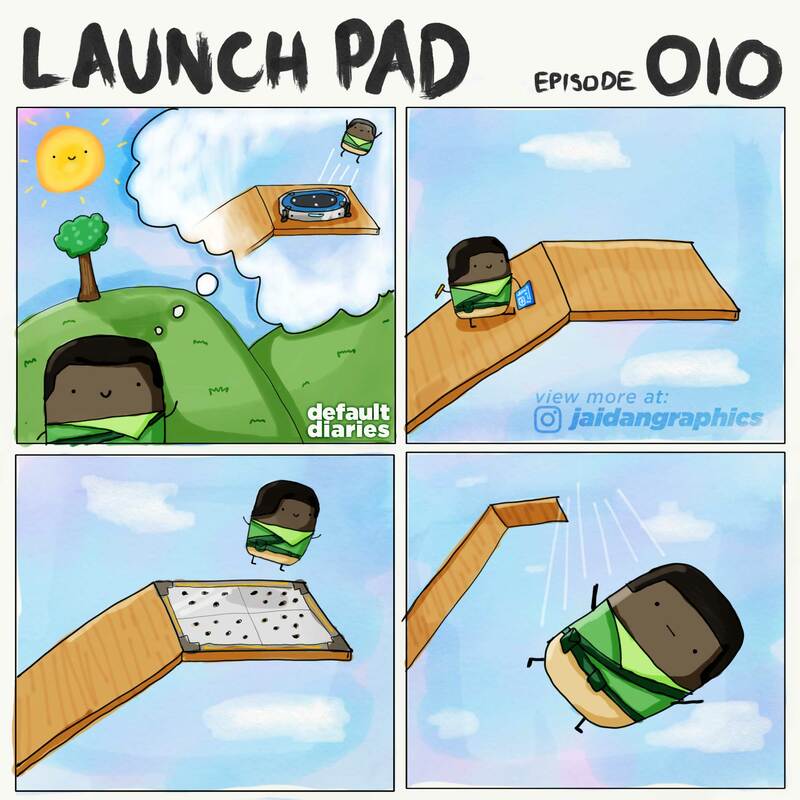 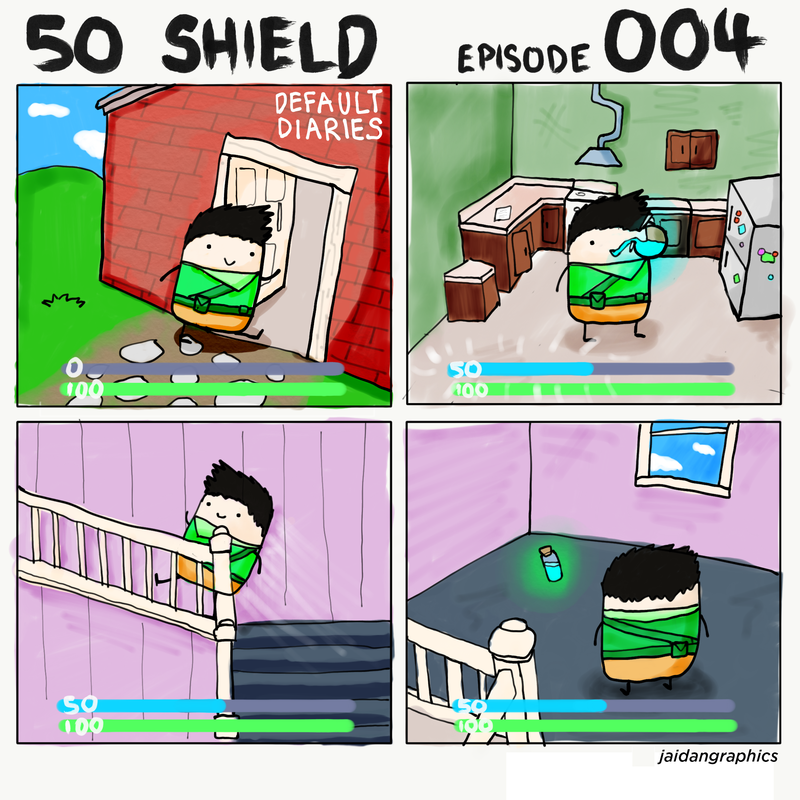 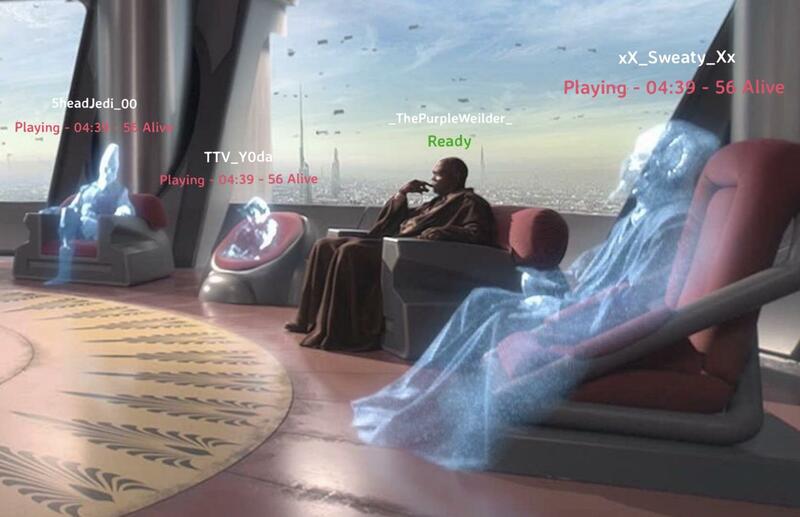 Everyone excited to play S4 tomorrow, here's a sneak peek of what you guys have to look forward to. 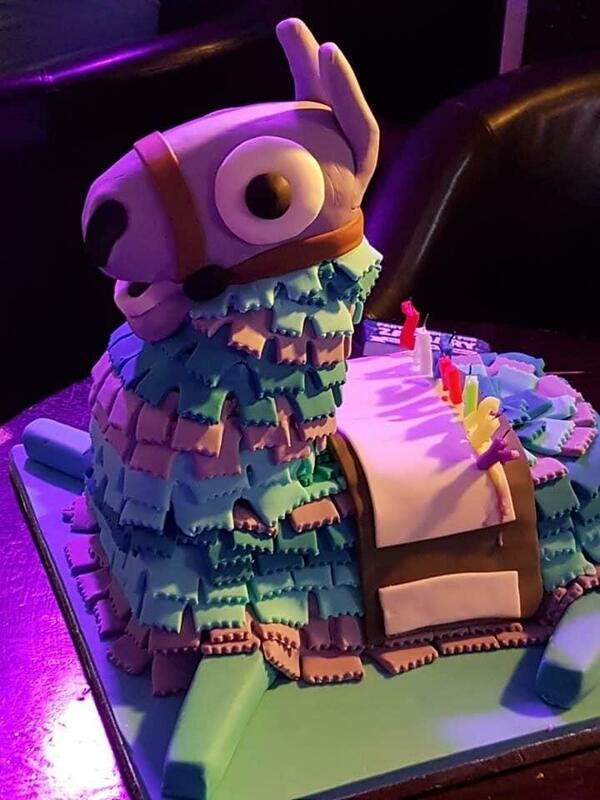 Llama cake my dad made me for my 21st birthday party last night! 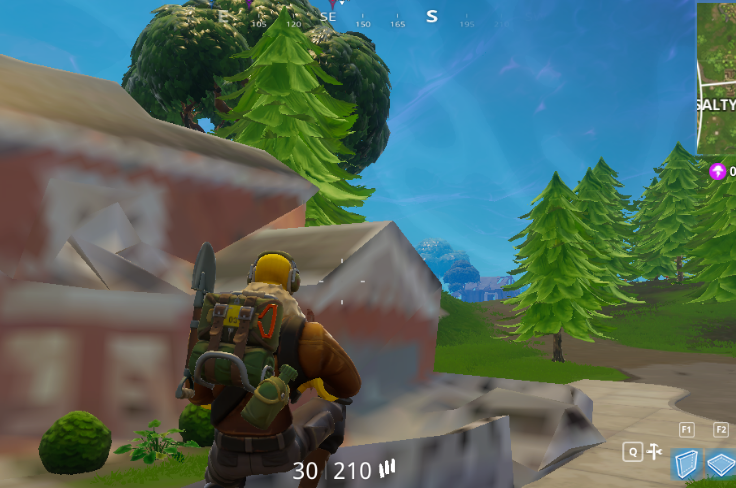 After many failed attempts, I finally put up a Hollywood sign in Tilted. 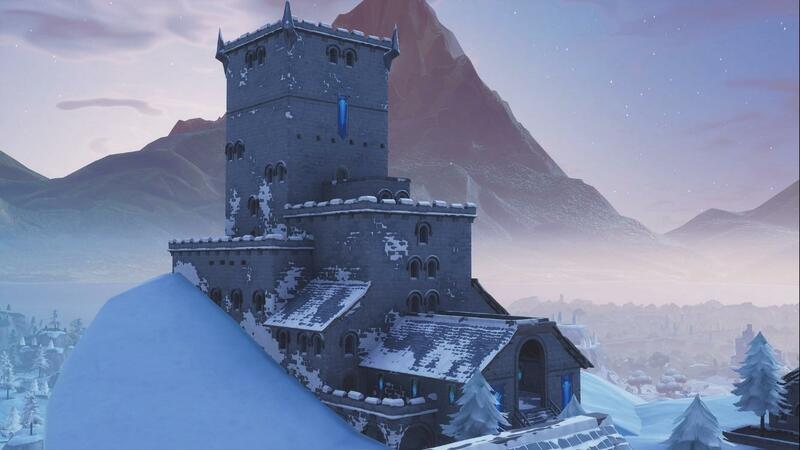 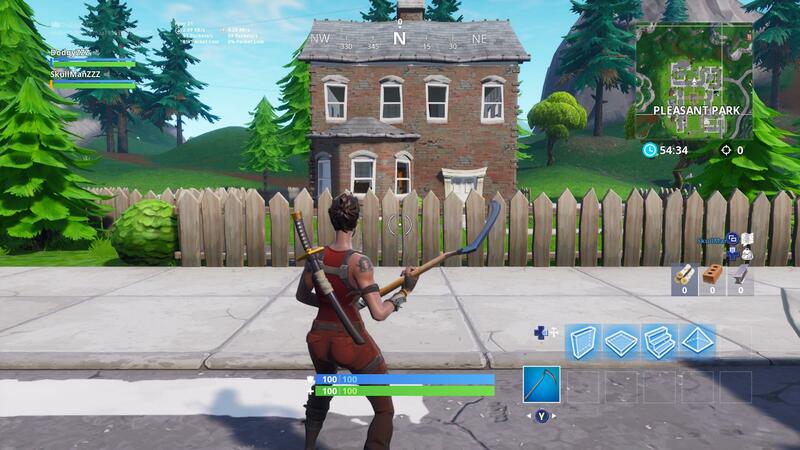 Would be great building practice. 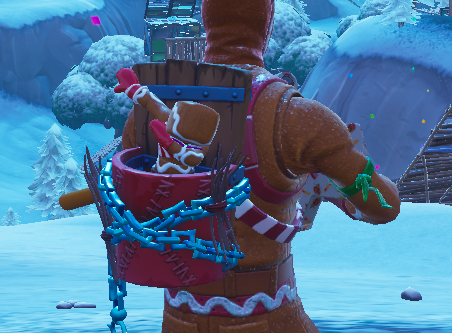 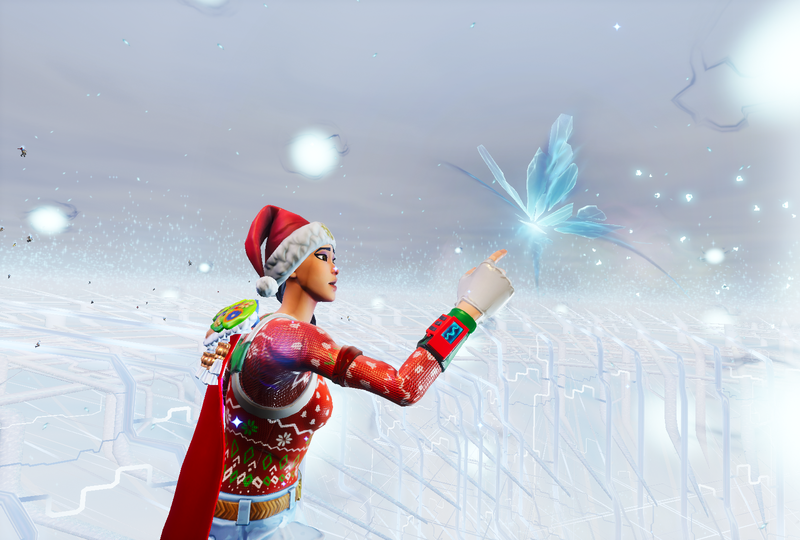 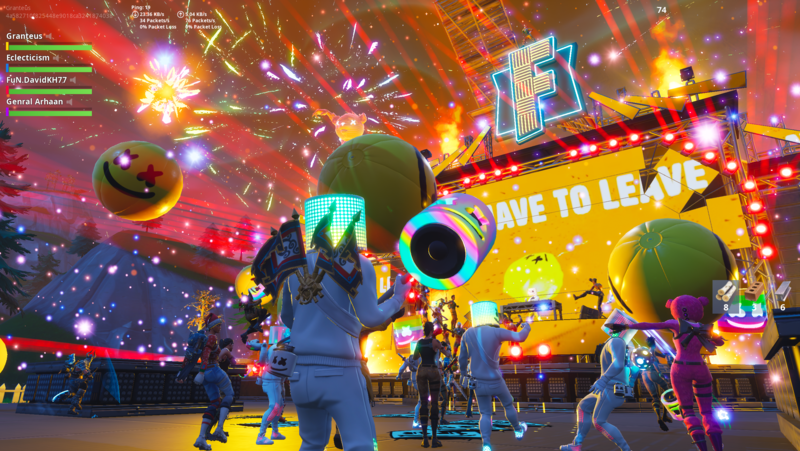 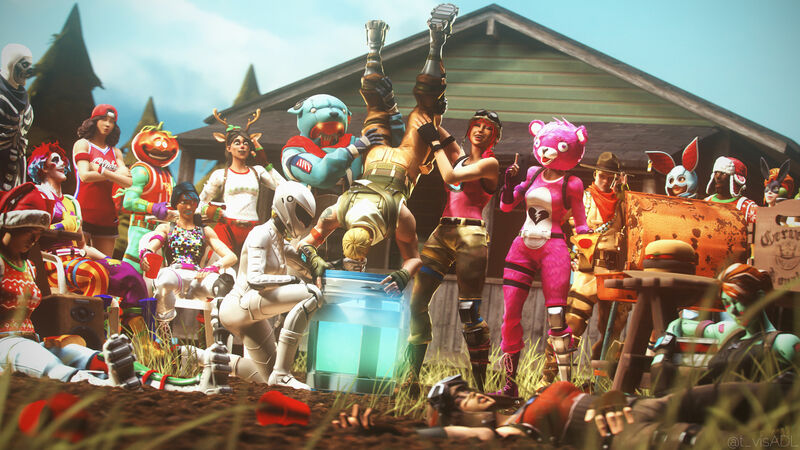 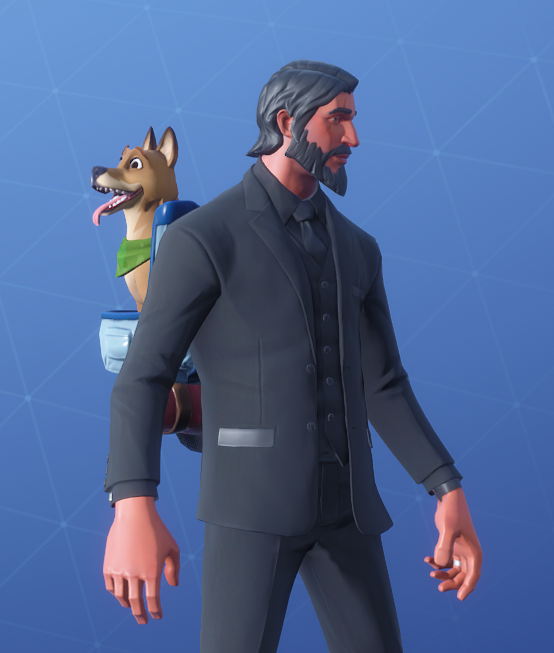 Thank you Epic for implementing me into the game, means a lot. 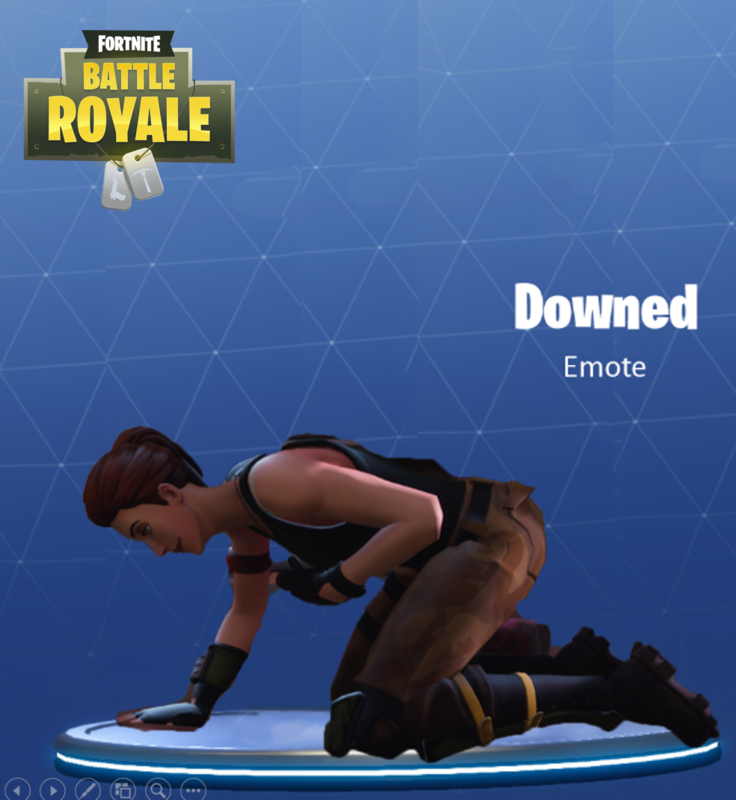 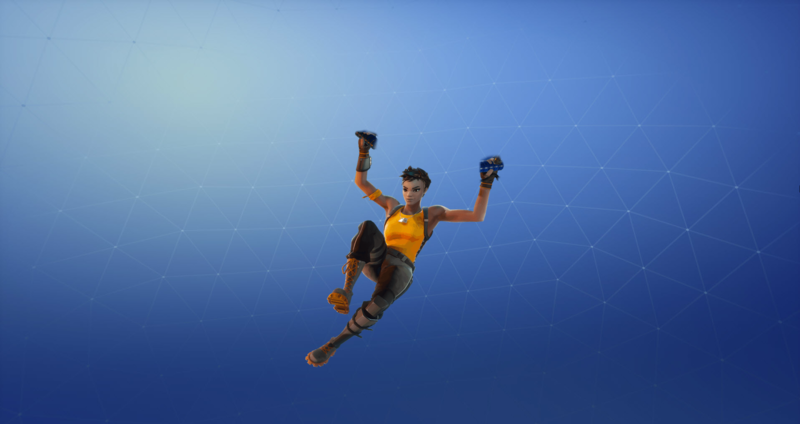 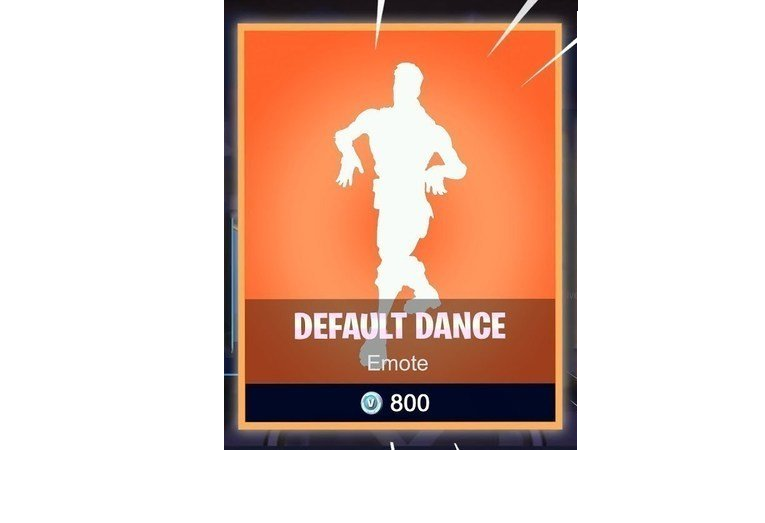 The only legendary emote we need. 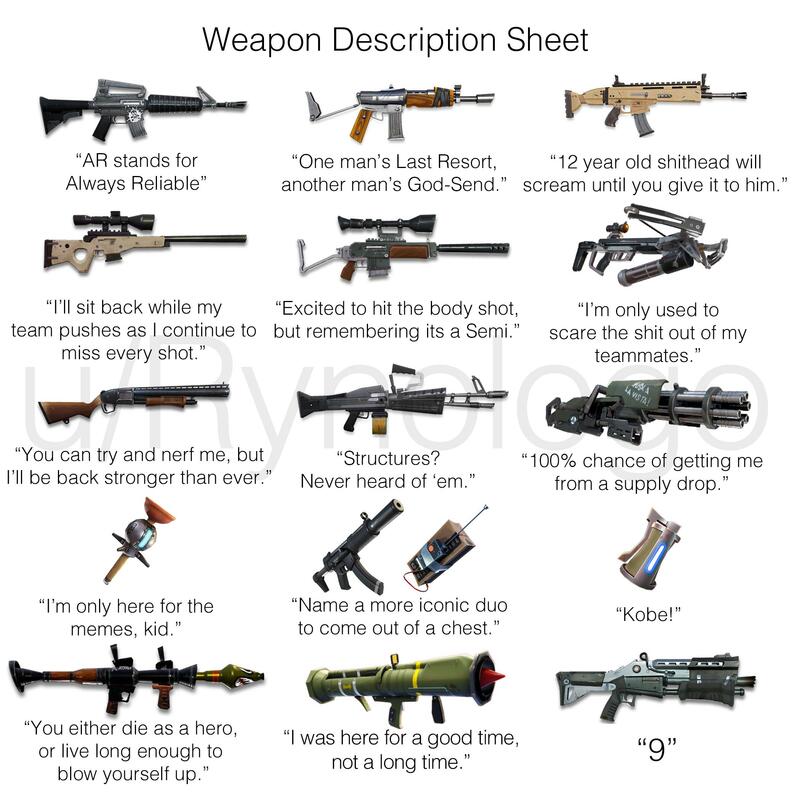 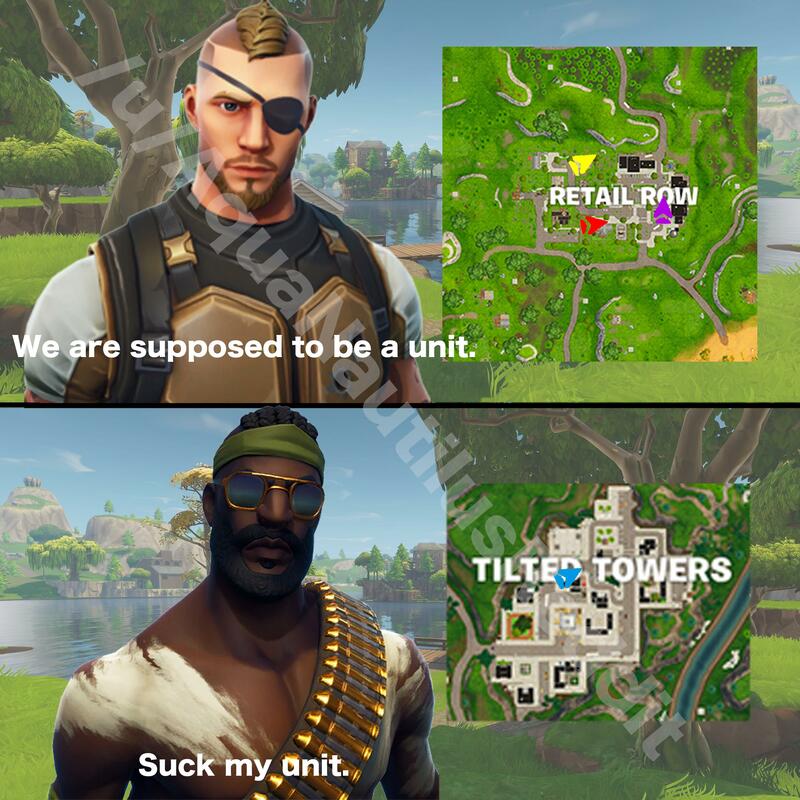 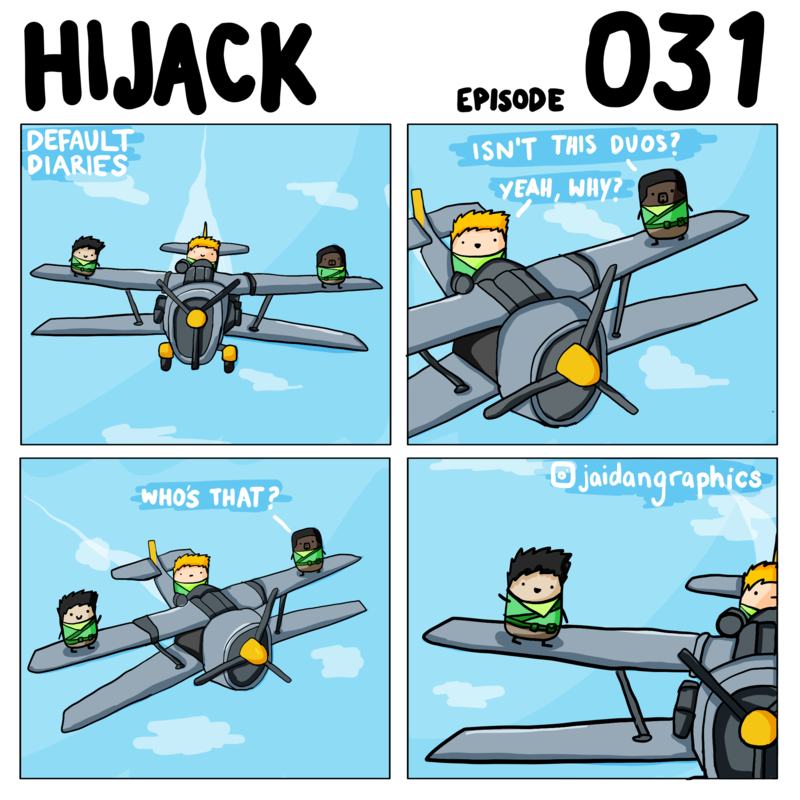 Squad Fill in a nutshell. 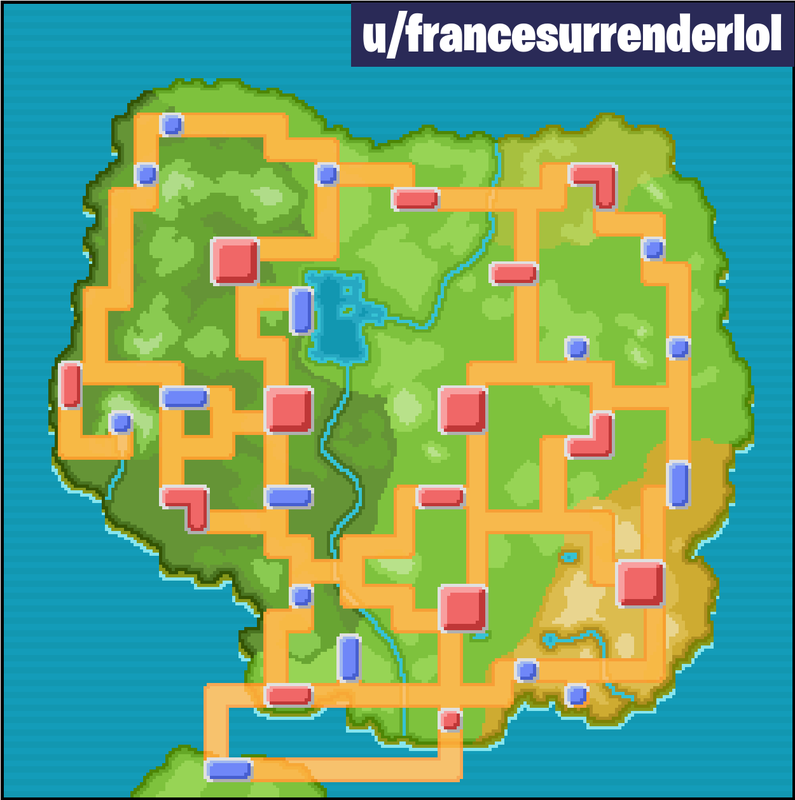 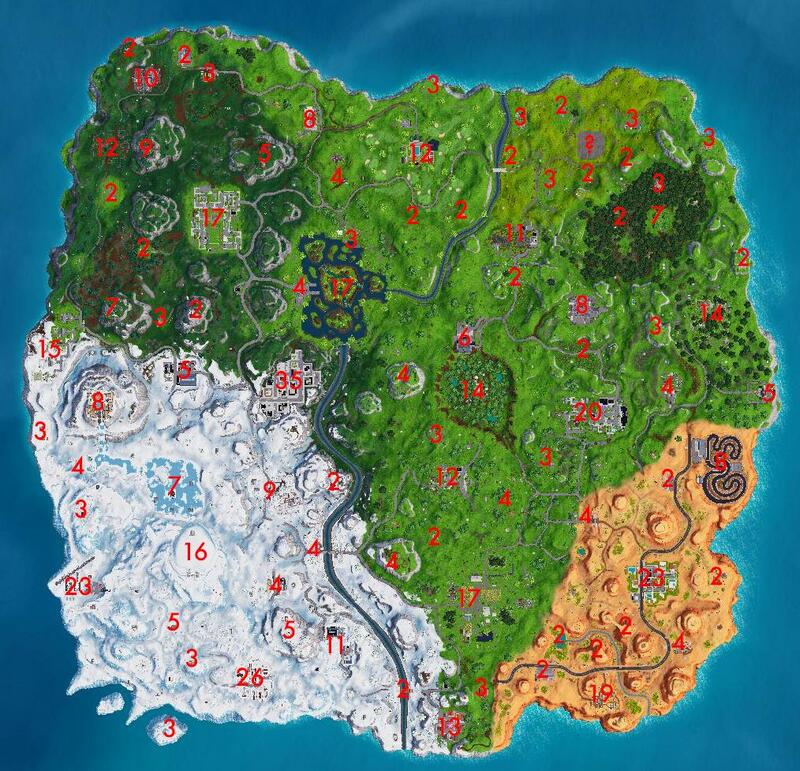 Number of chests in each area. 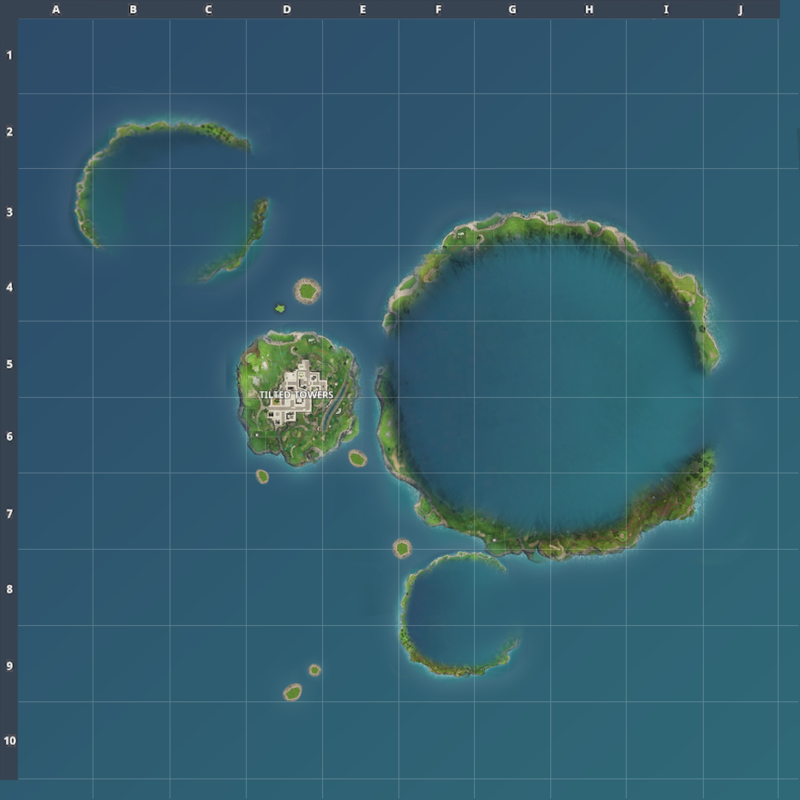 Hope this helps some people out with rotations and deciding where to drop! 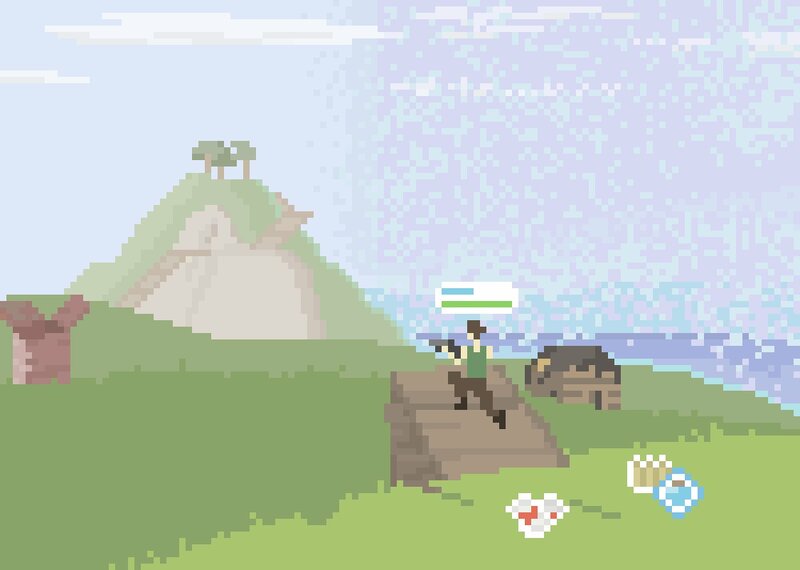 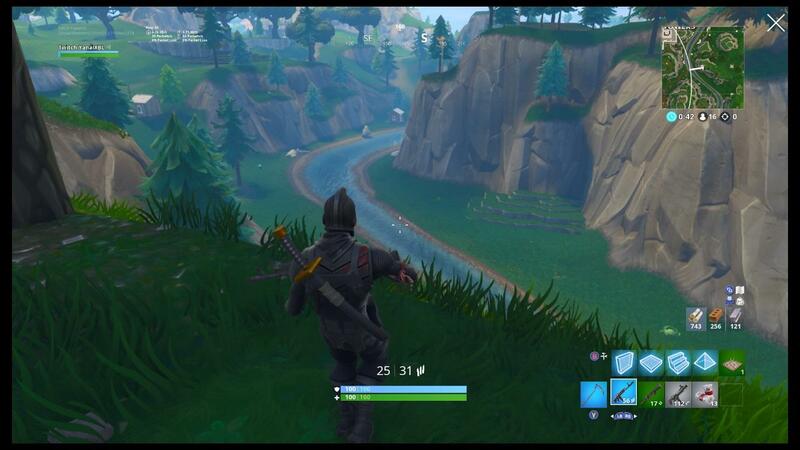 So happy i can finaly play fortnite on my Samsung Galaxy S7 Edge. 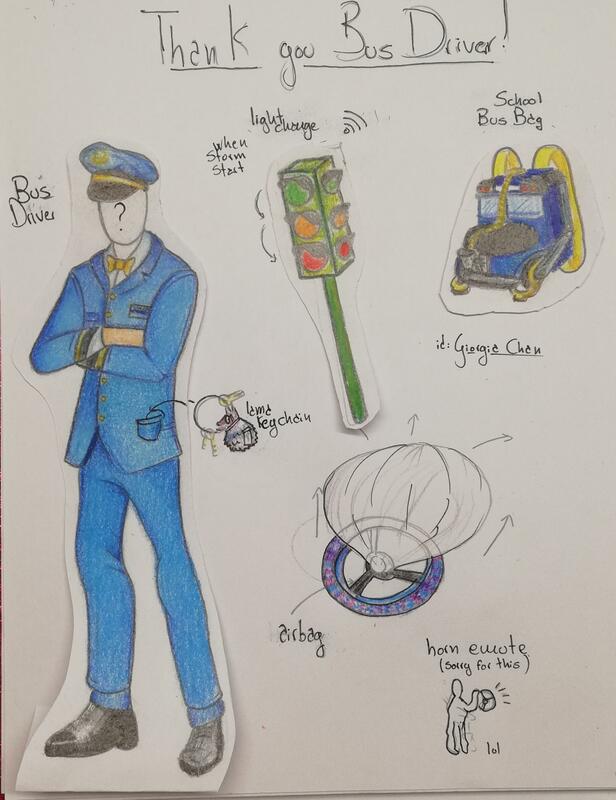 Fortnite skin concept: BUS DRIVER, You're welcome! 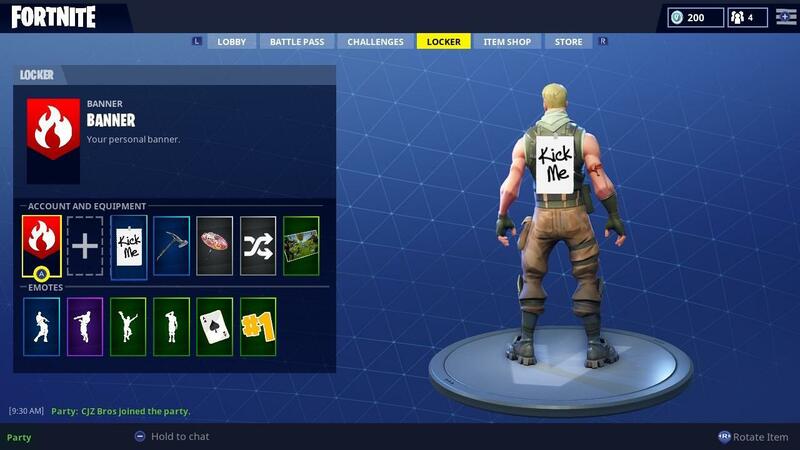 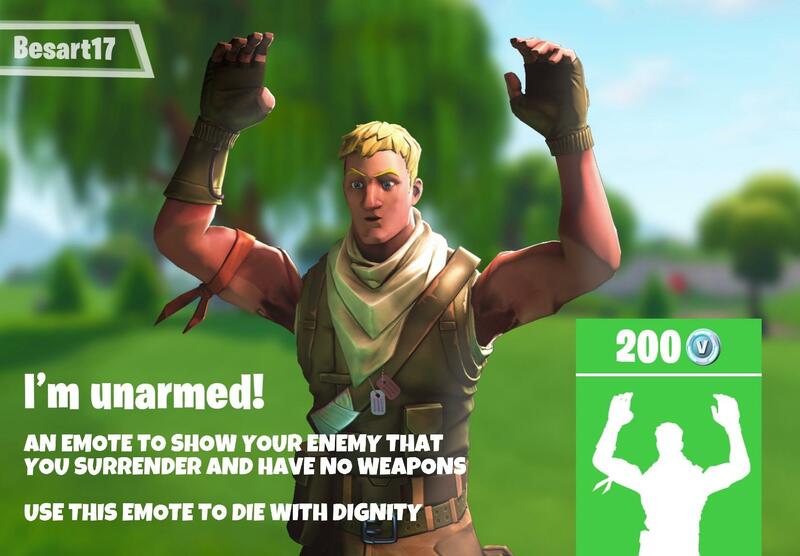 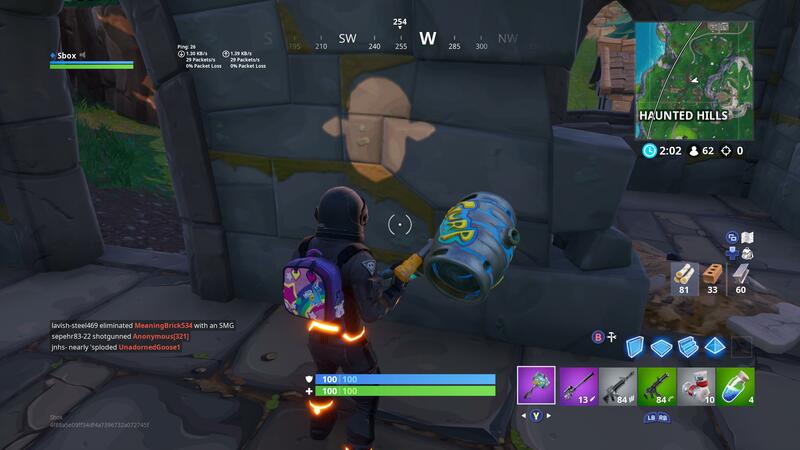 A spray that shows your name, skin and how much kills you got!